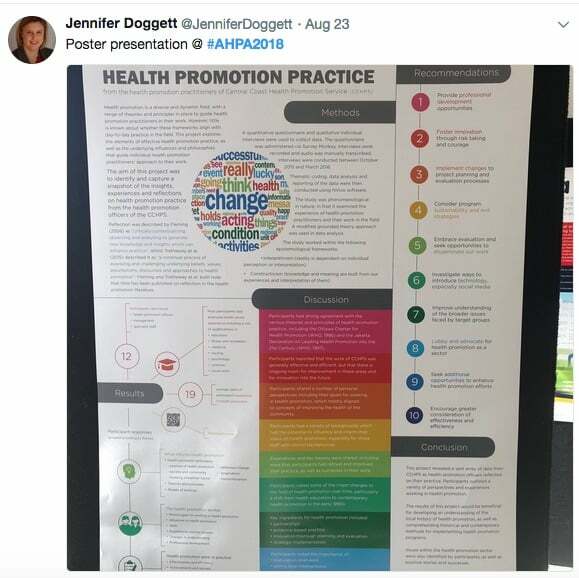 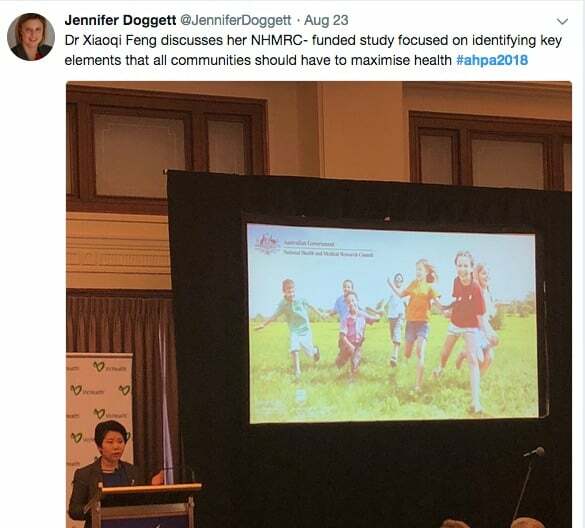 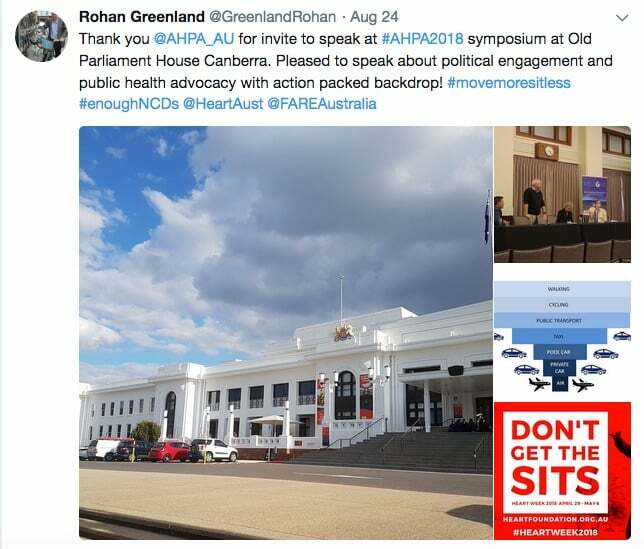 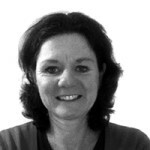 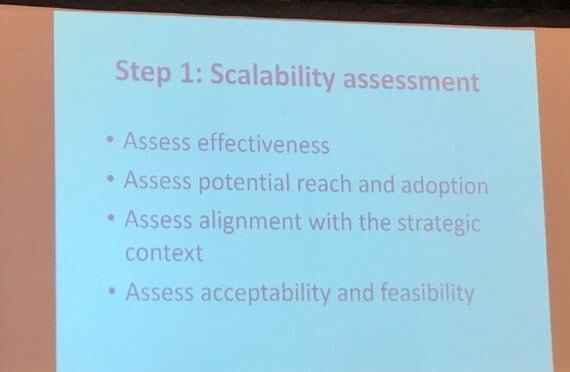 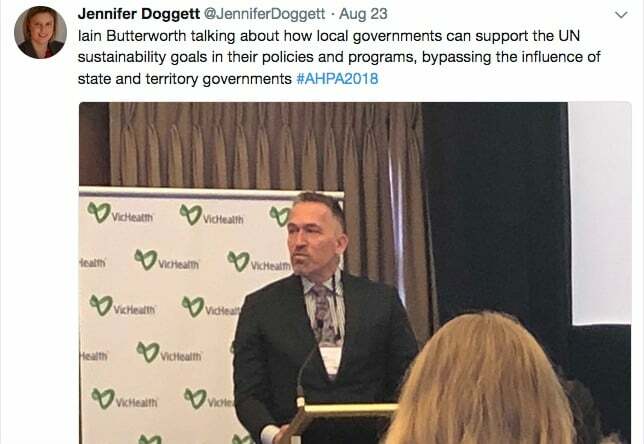 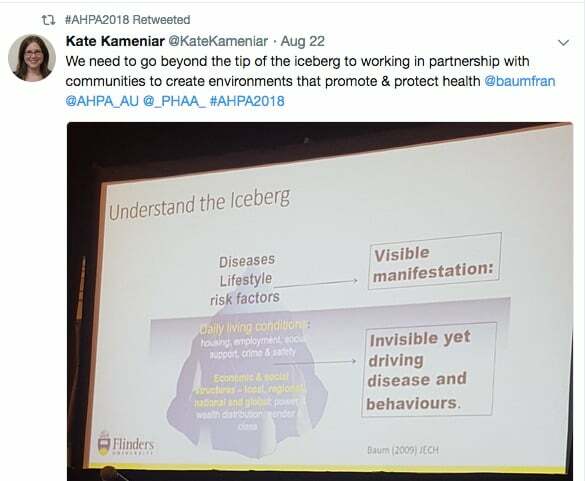 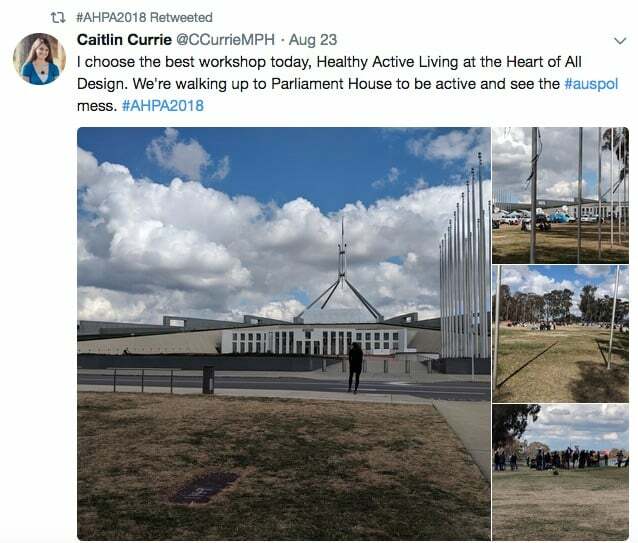 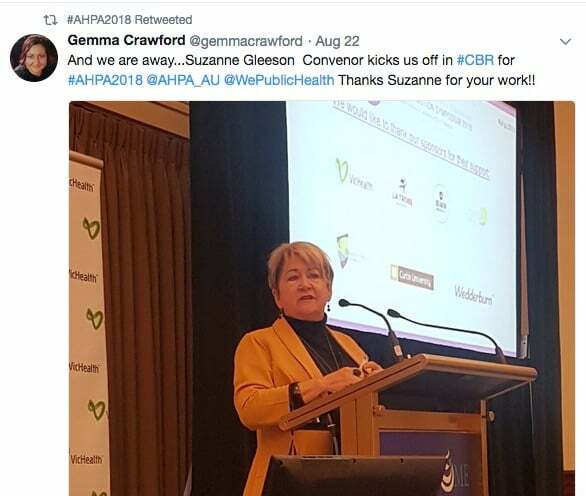 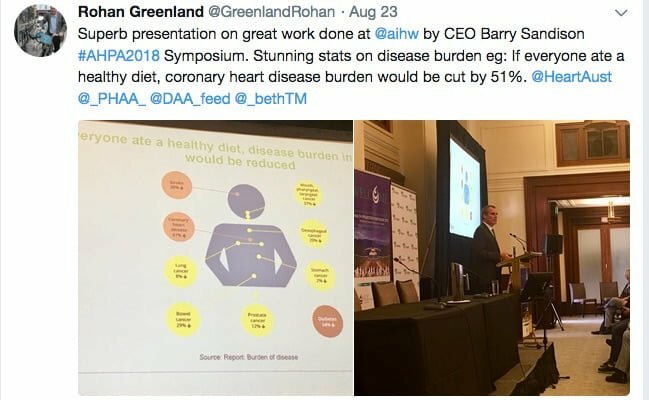 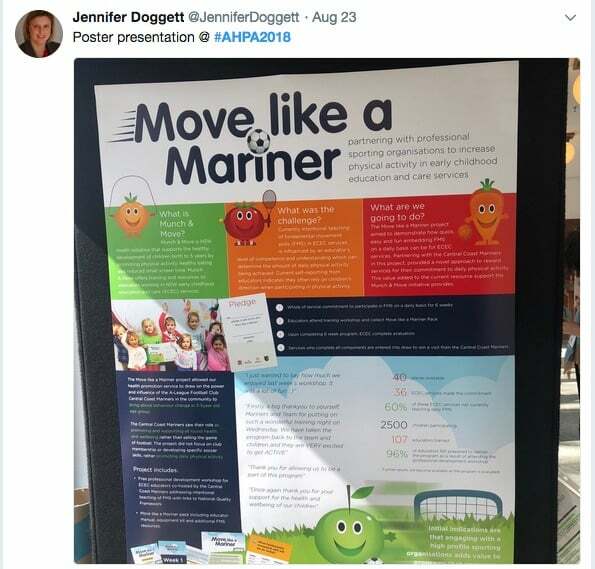 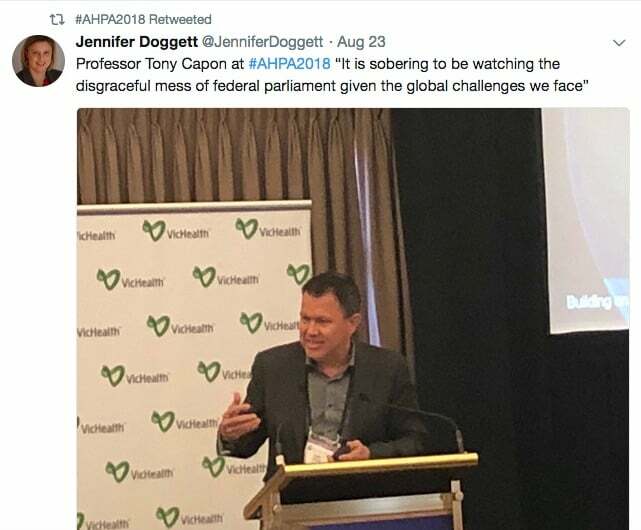 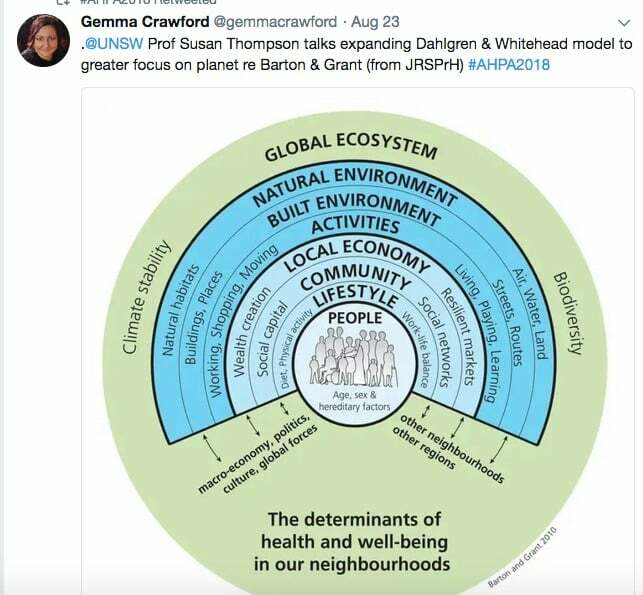 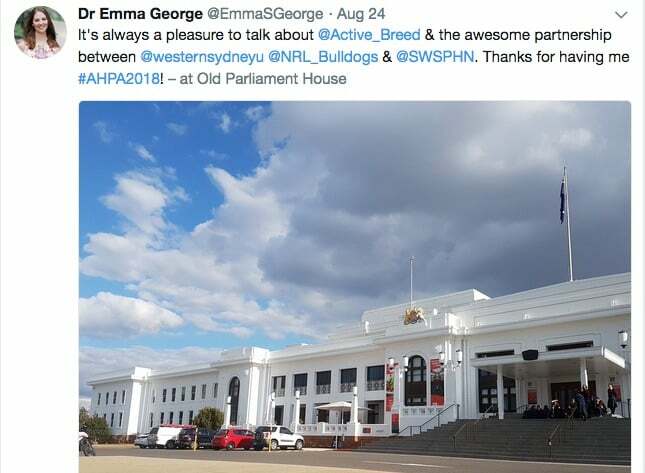 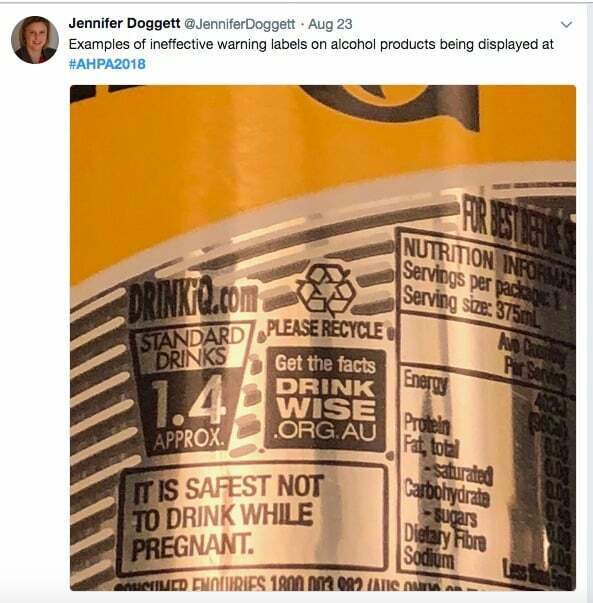 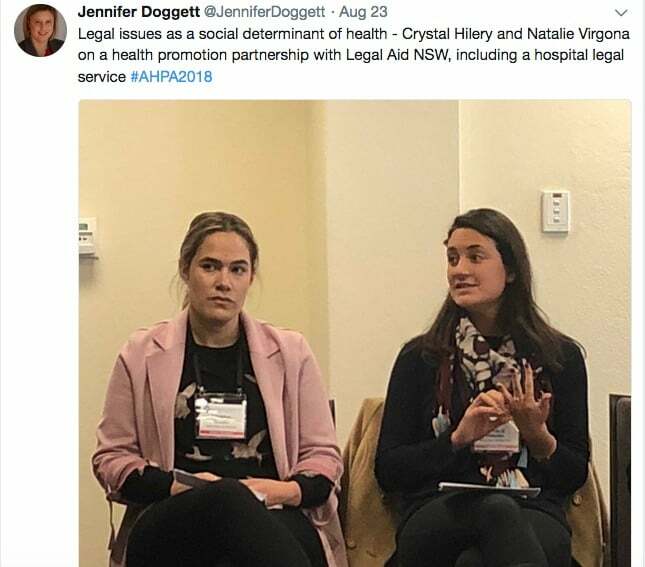 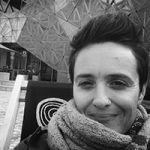 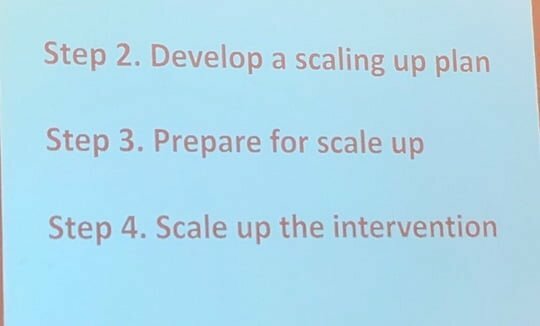 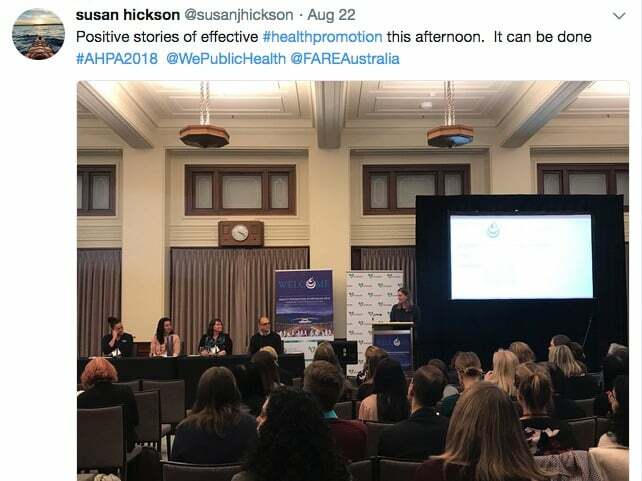 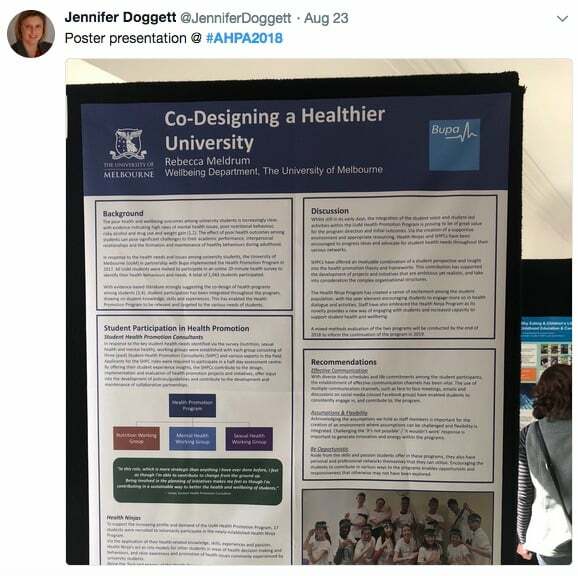 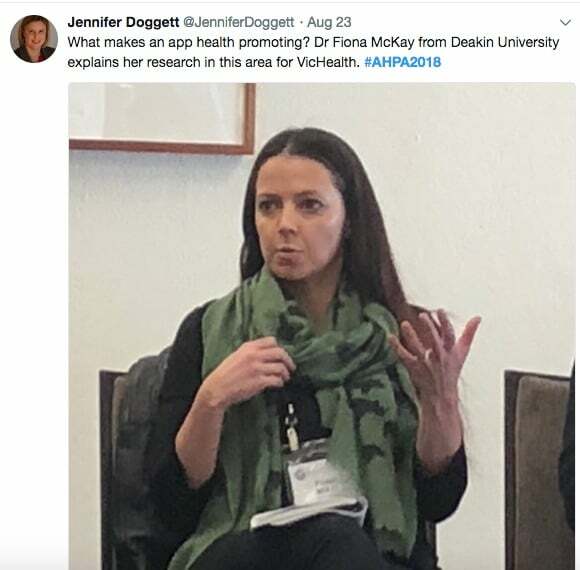 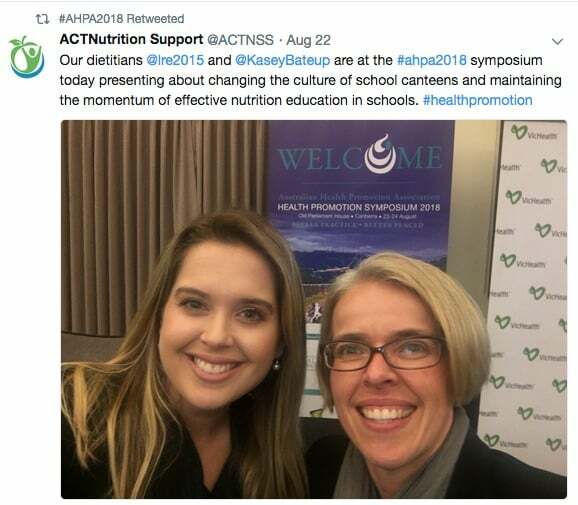 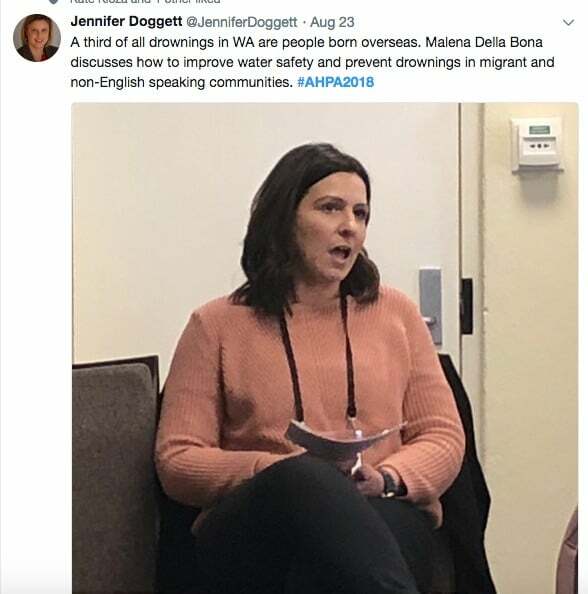 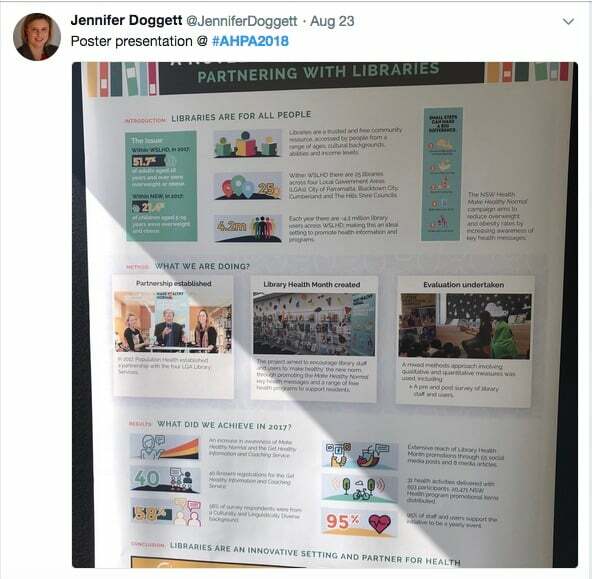 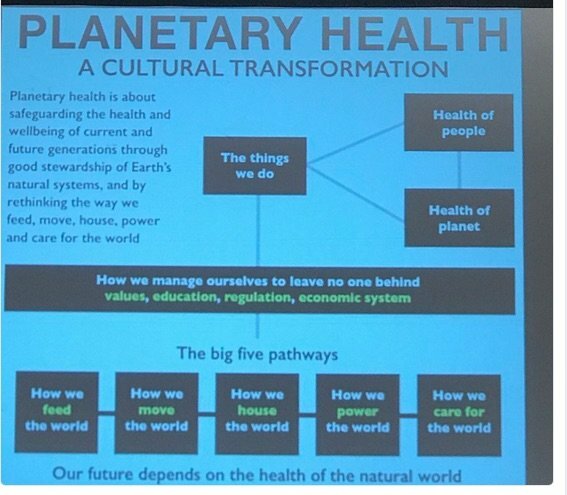 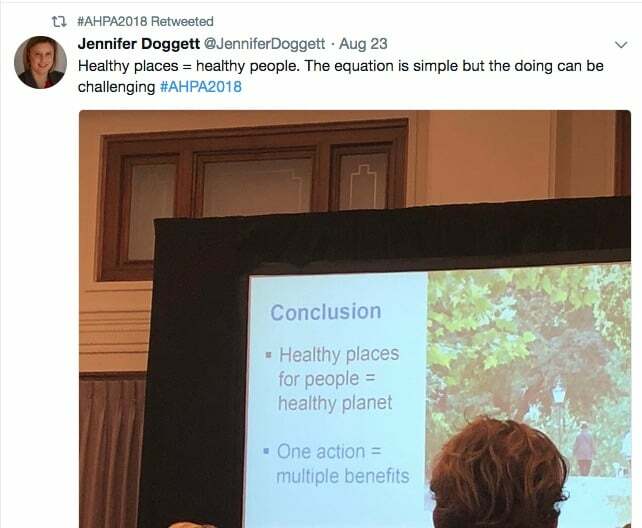 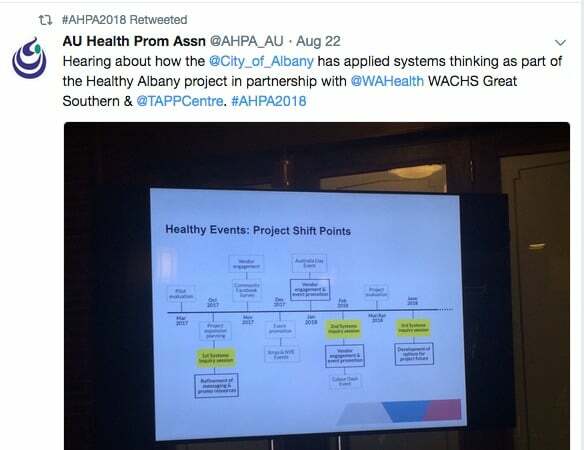 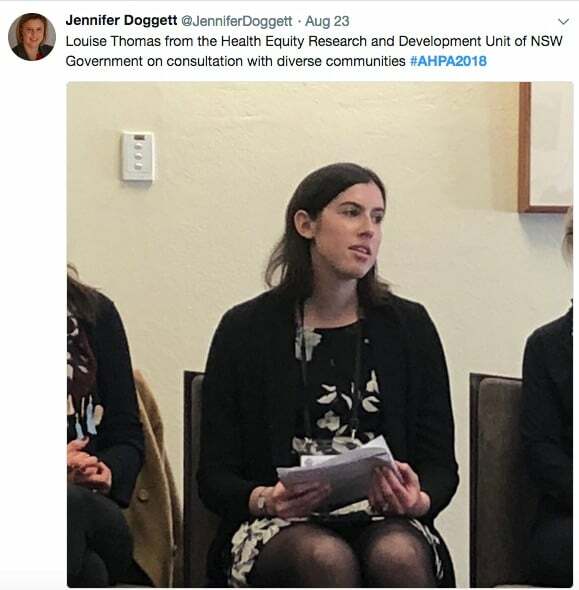 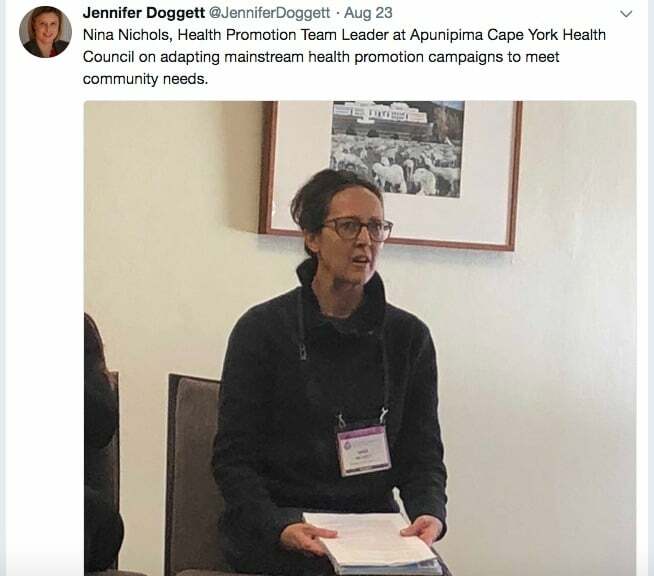 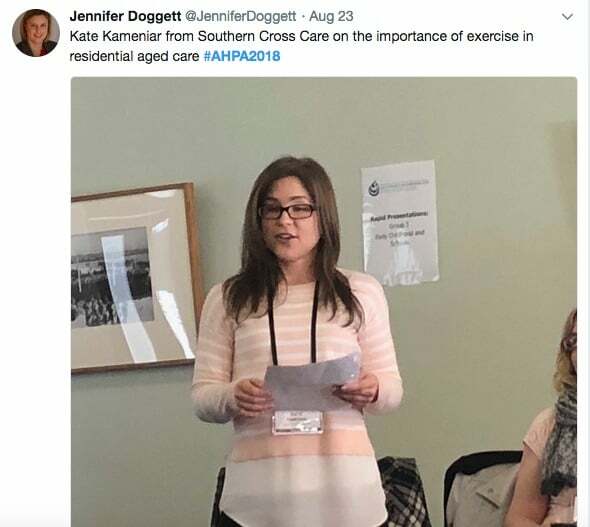 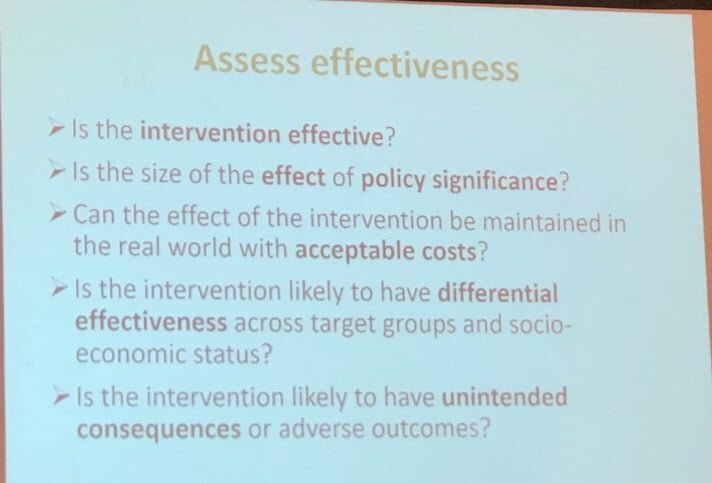 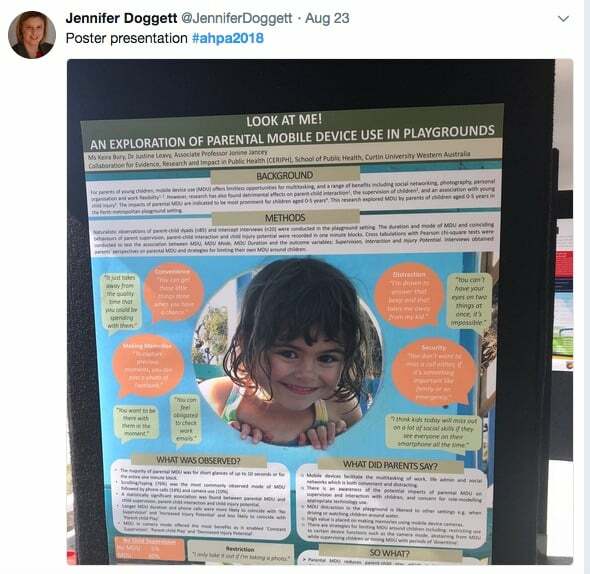 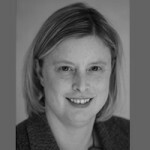 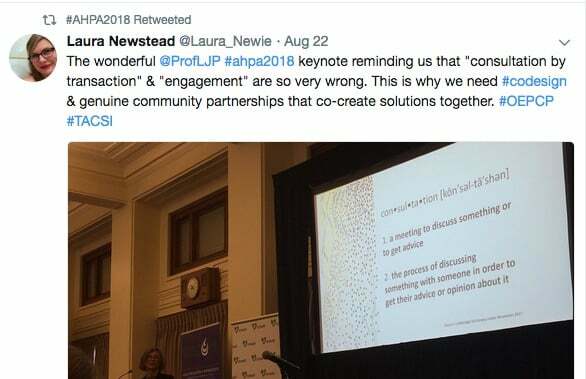 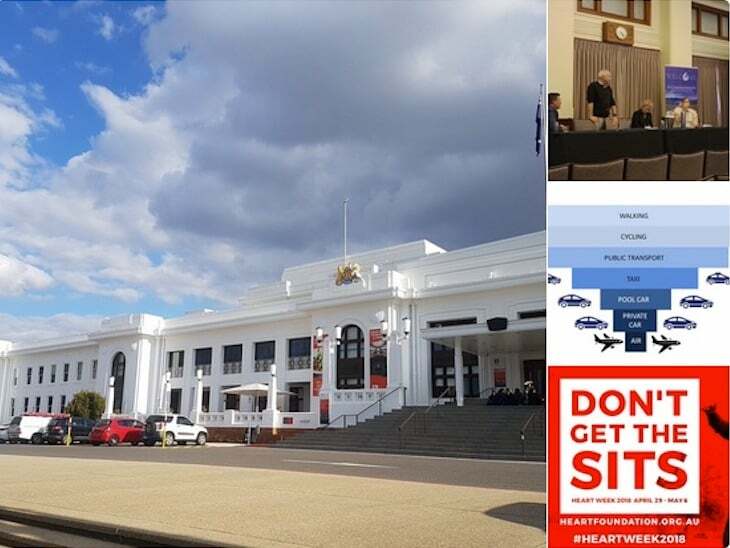 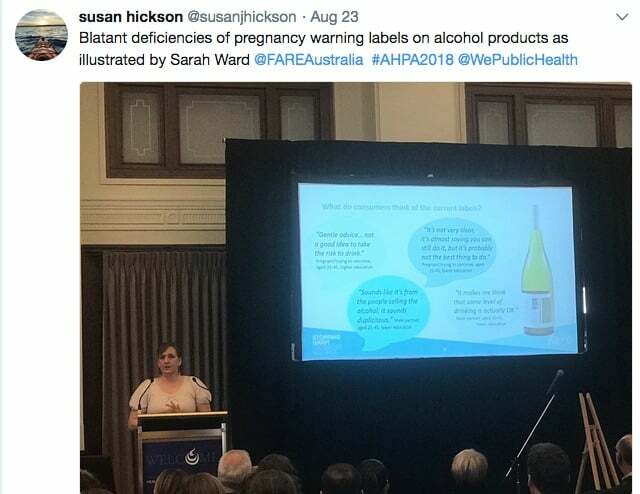 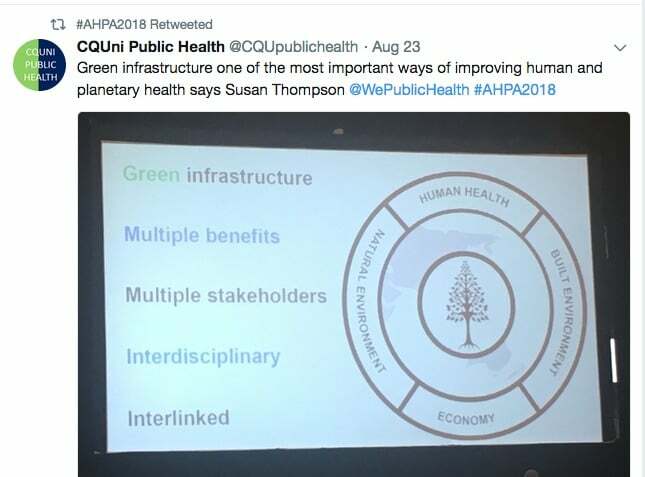 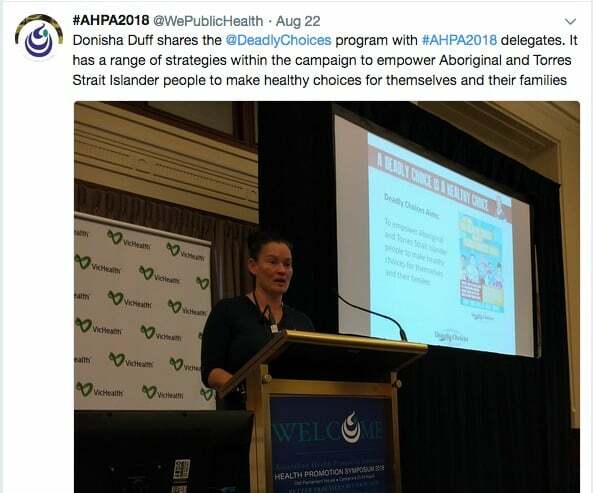 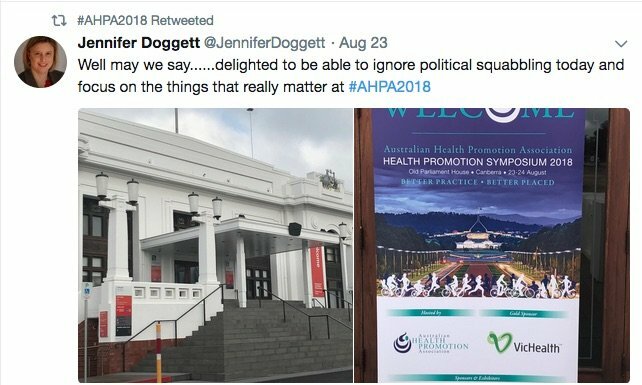 In a previous post, Jennifer Doggett shared her top six reflections from the Australian Health Promotion Association’s recent Symposium in Canberra. 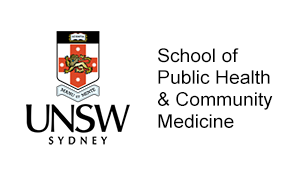 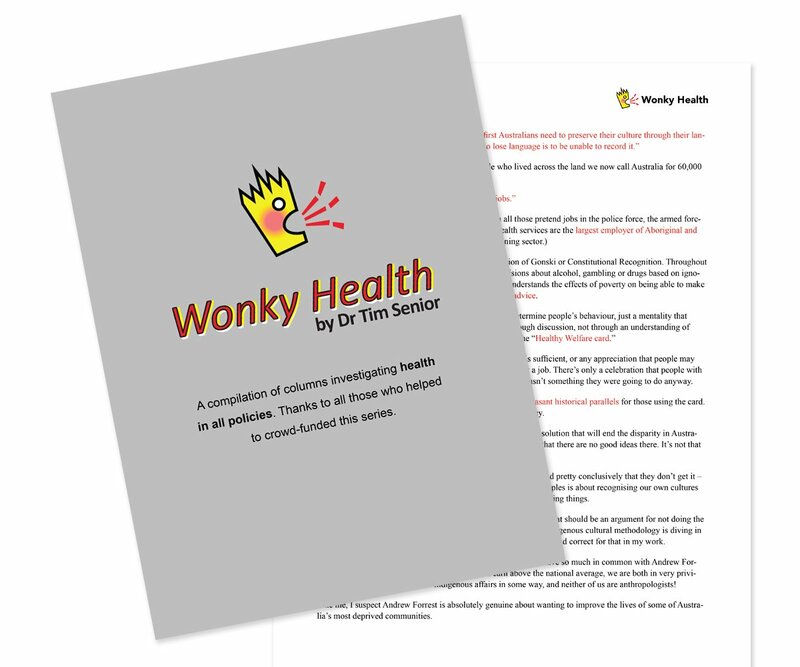 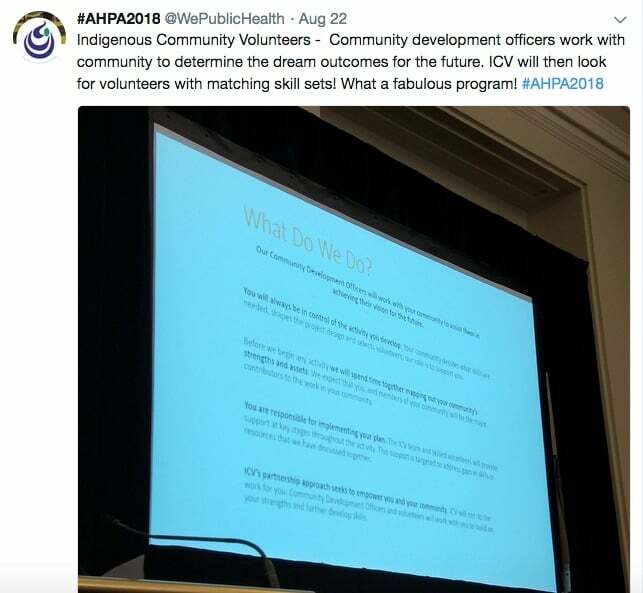 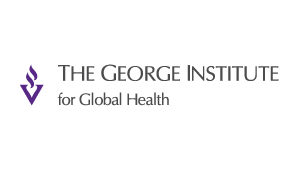 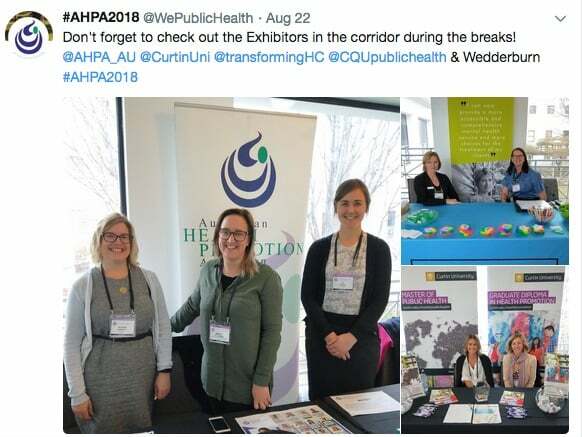 Community engagement is key to successful health promotion research and practice. 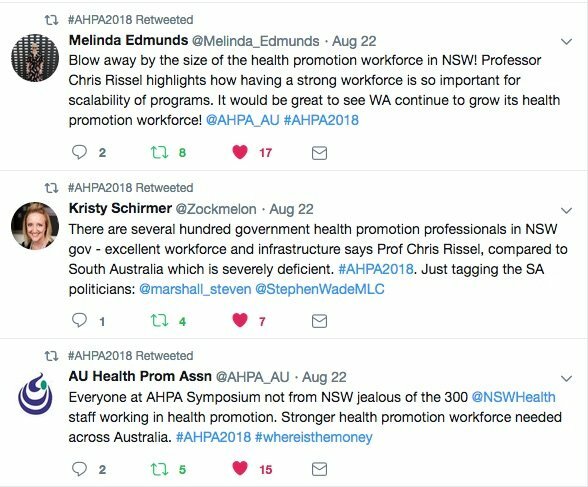 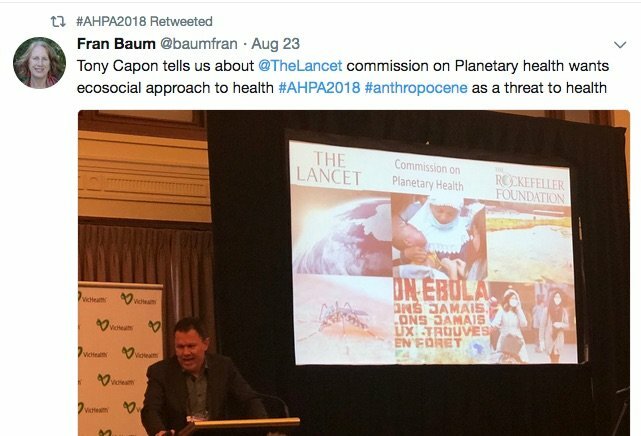 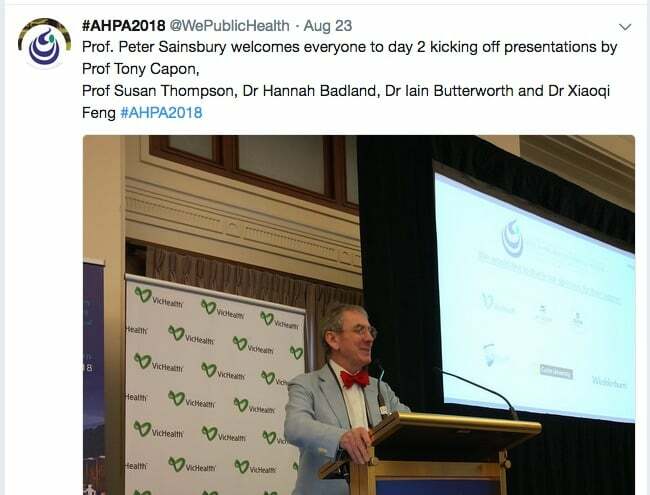 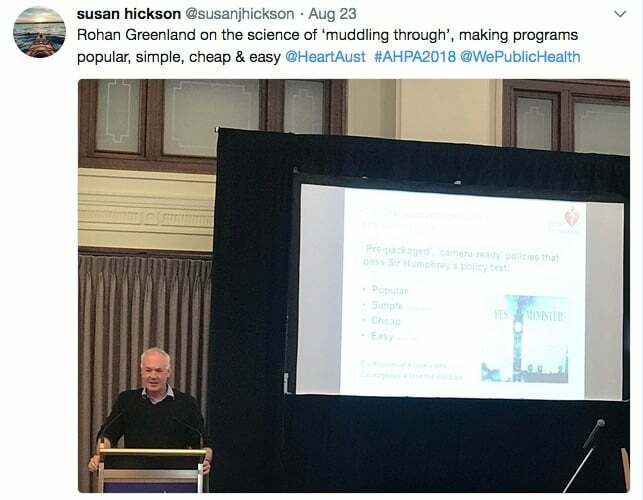 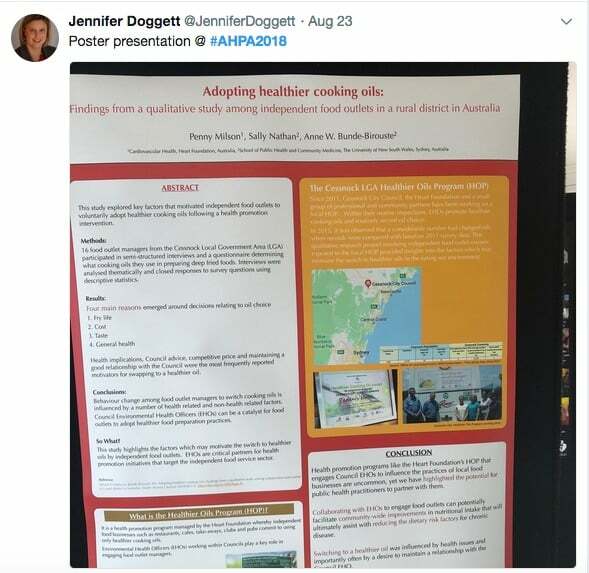 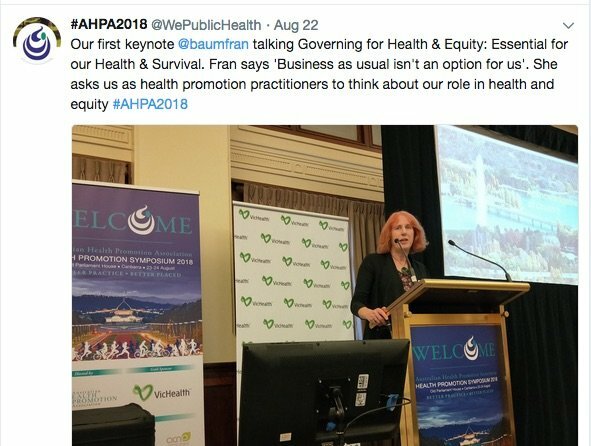 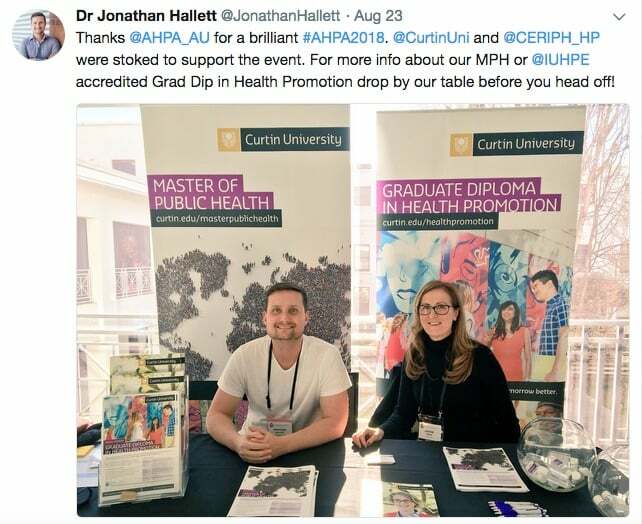 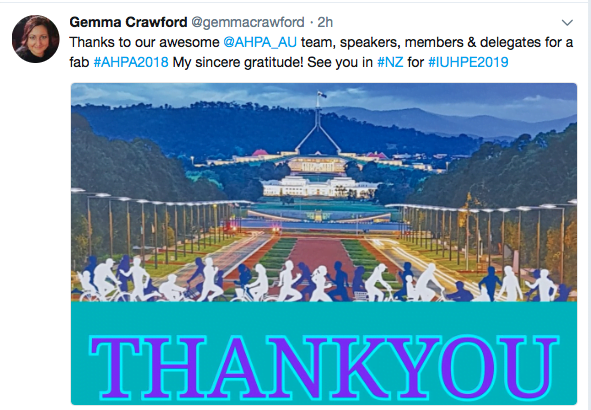 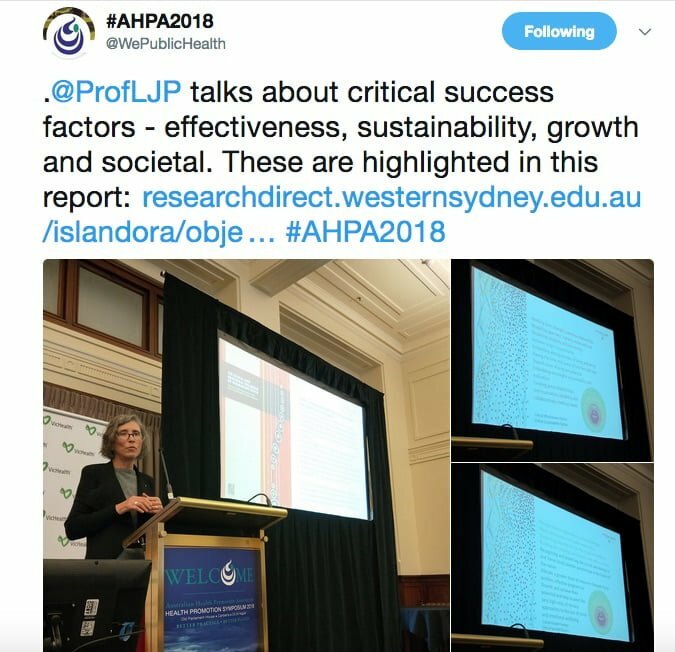 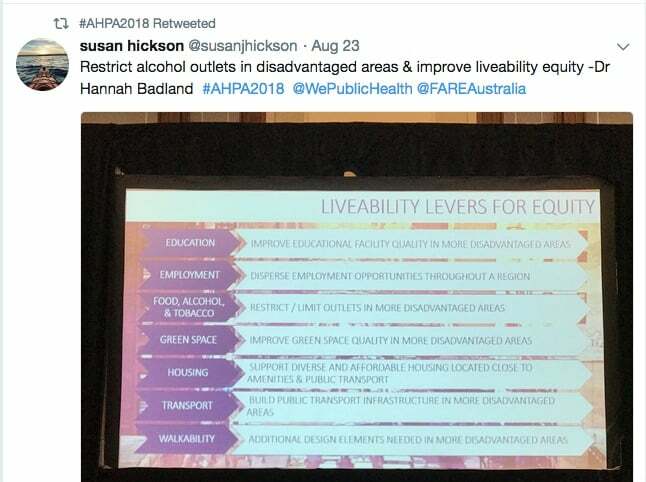 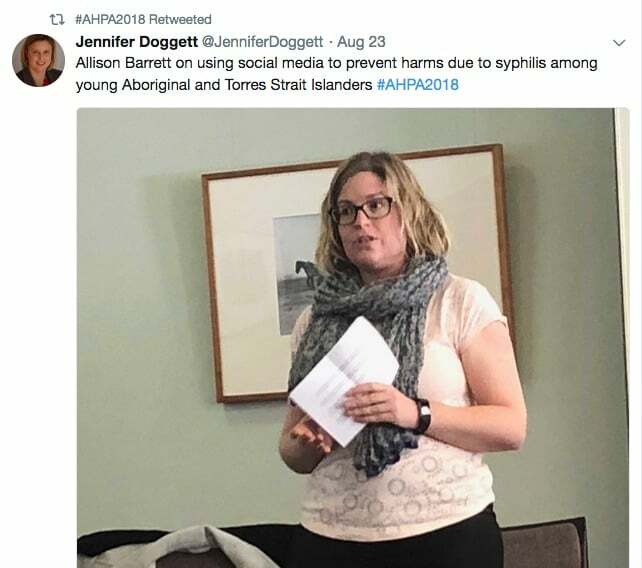 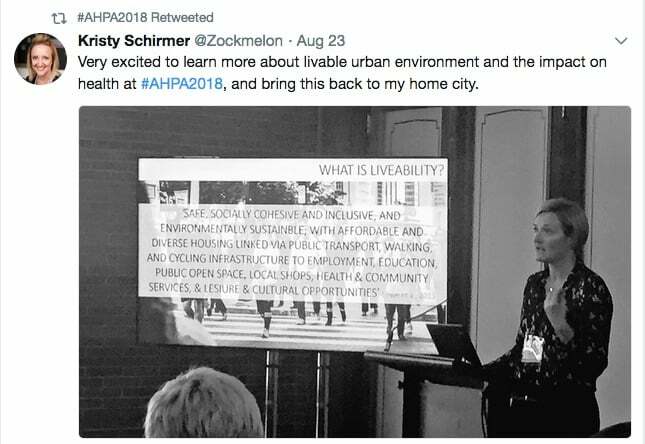 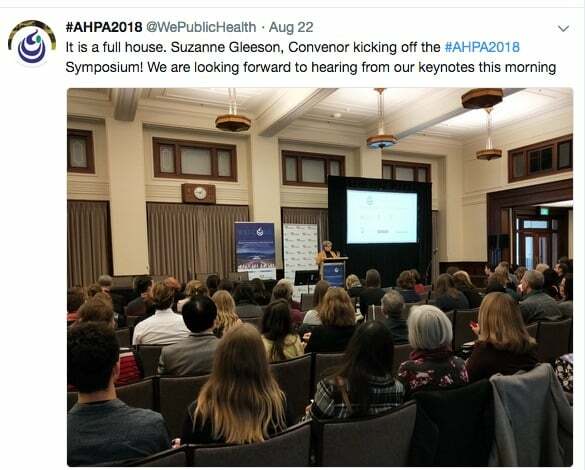 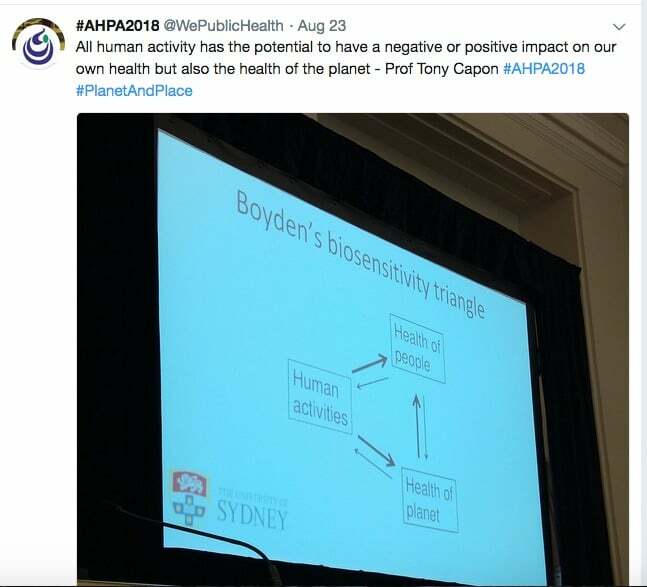 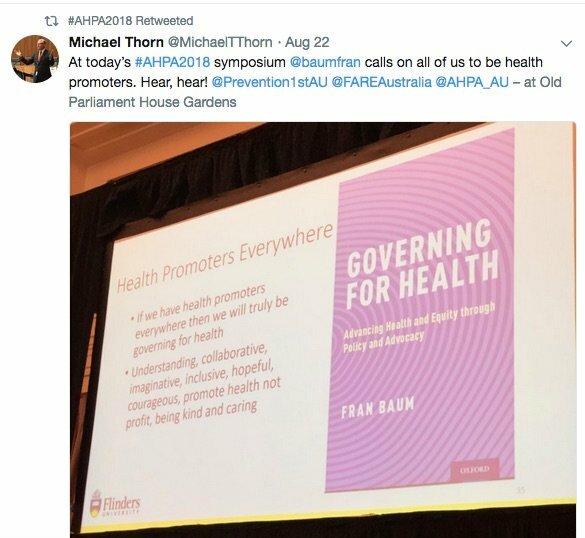 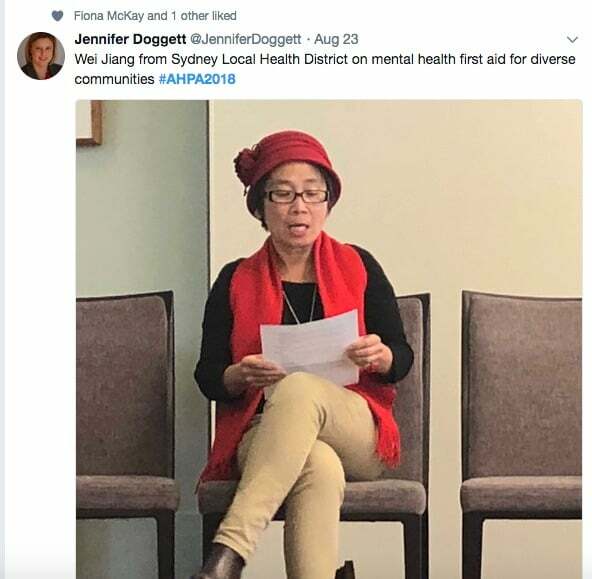 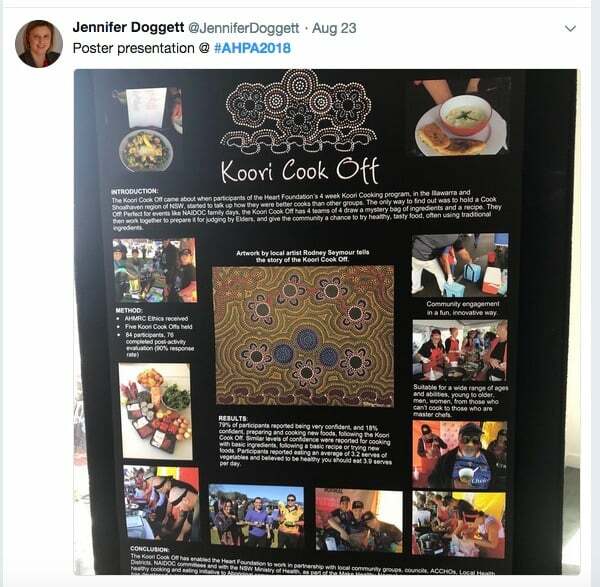 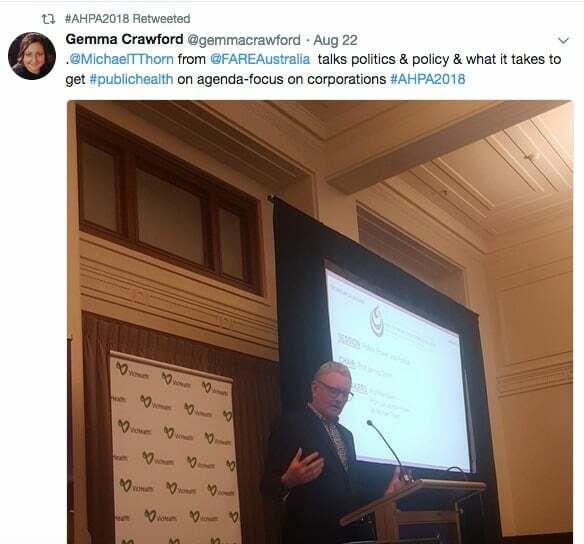 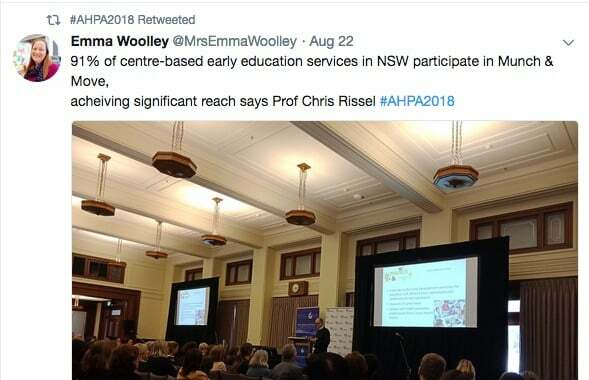 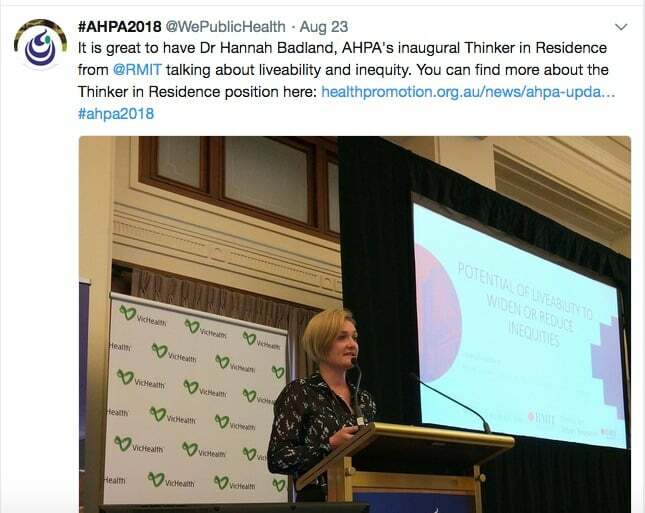 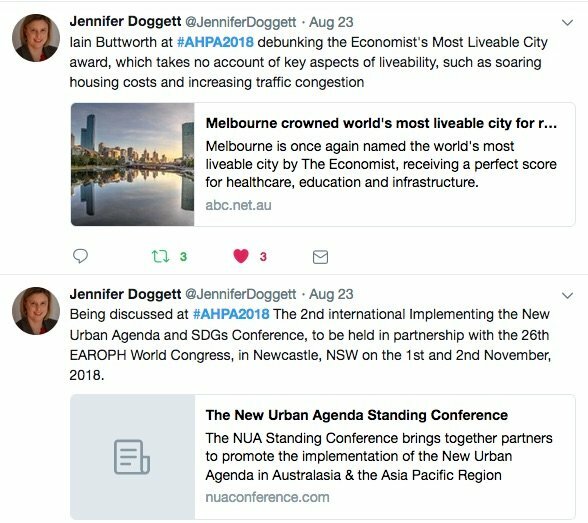 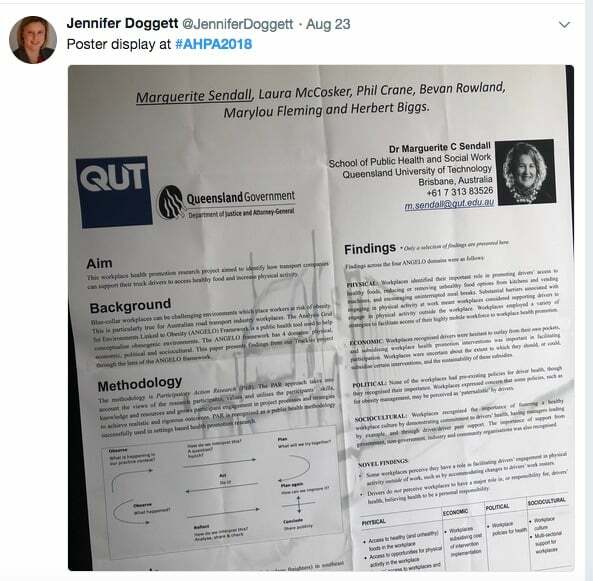 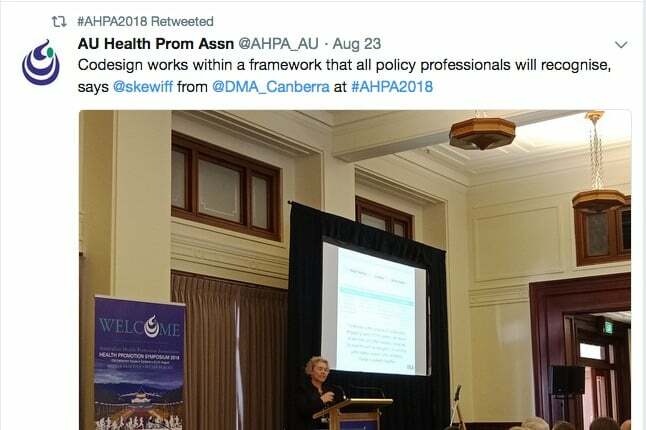 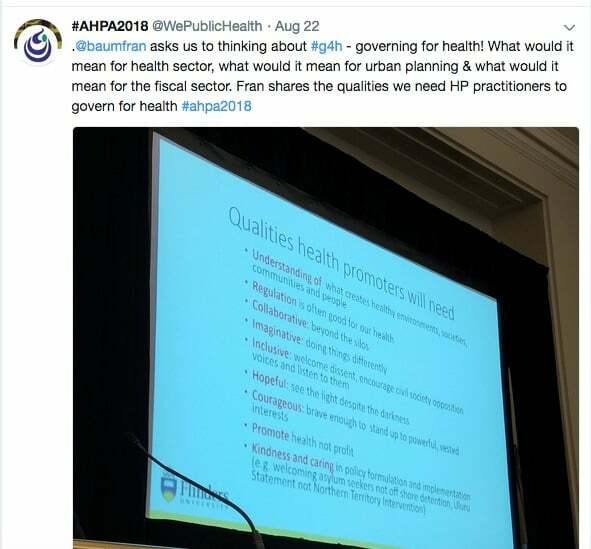 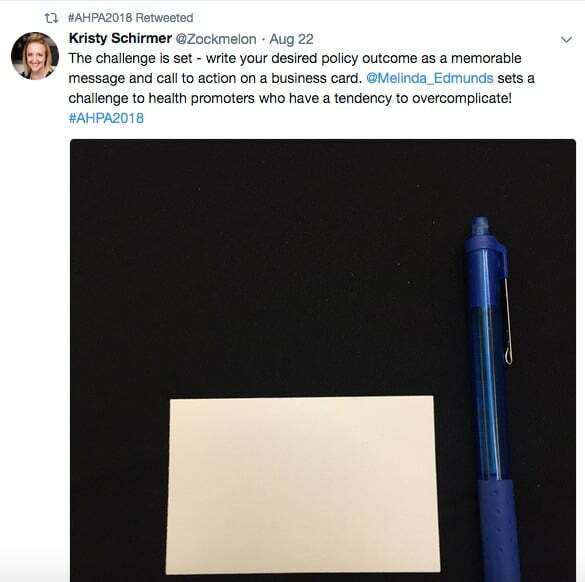 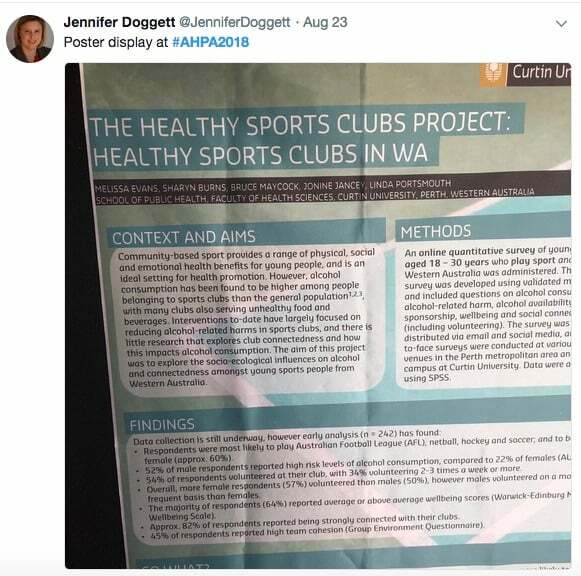 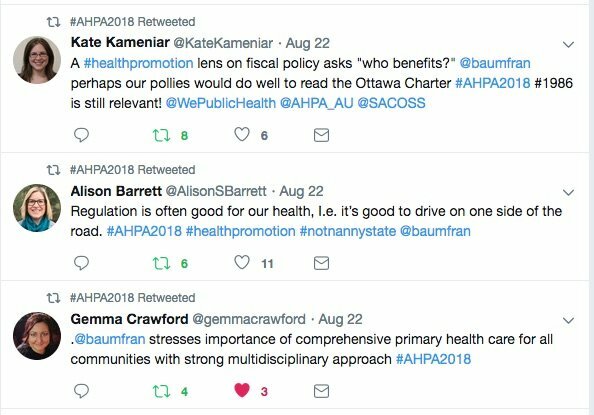 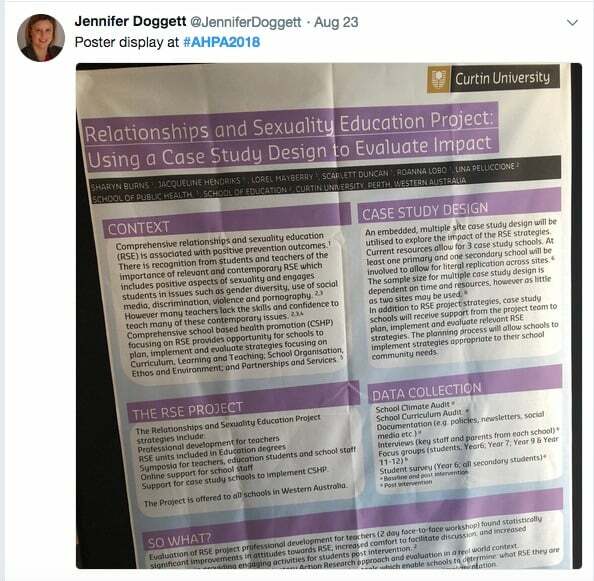 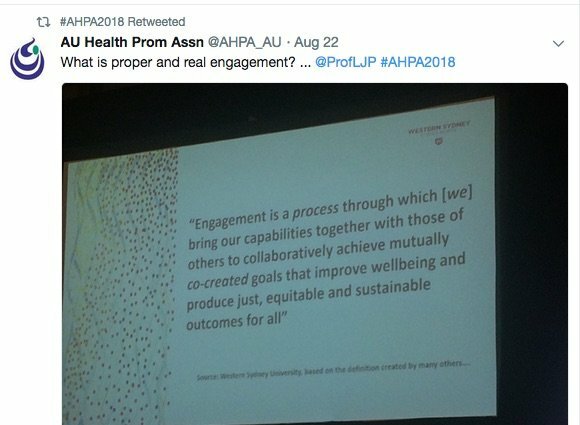 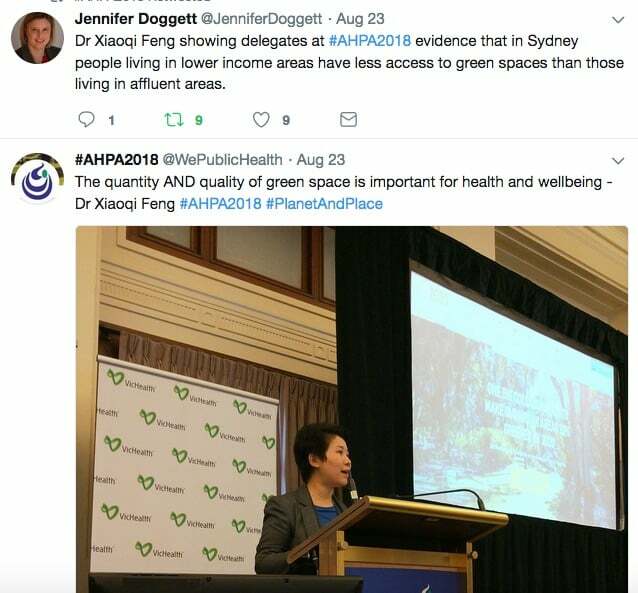 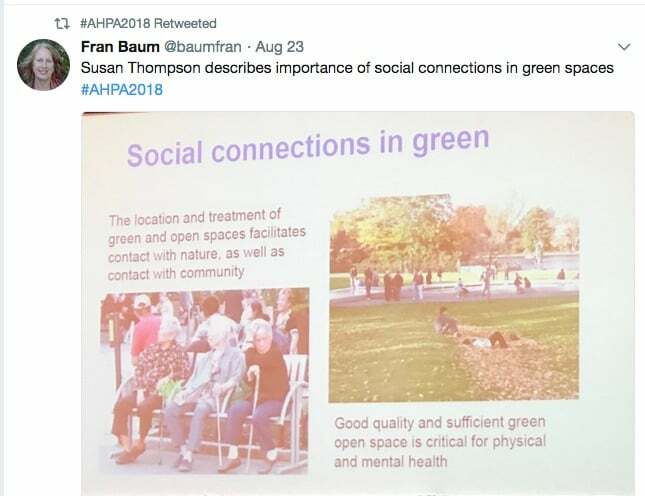 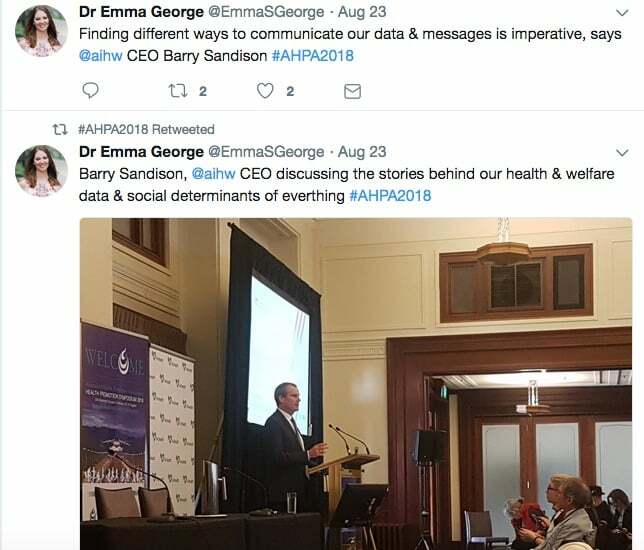 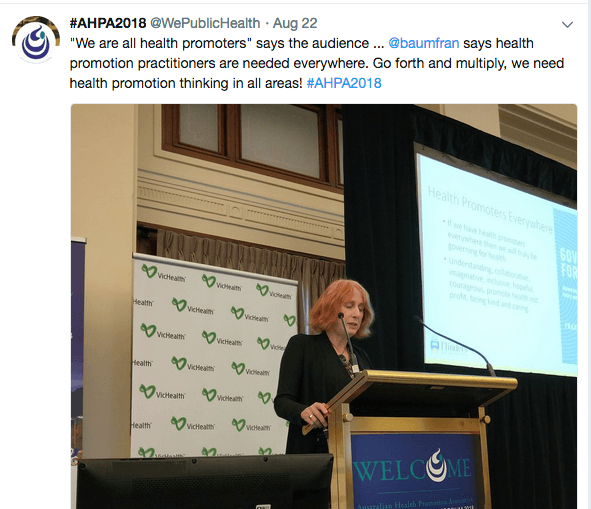 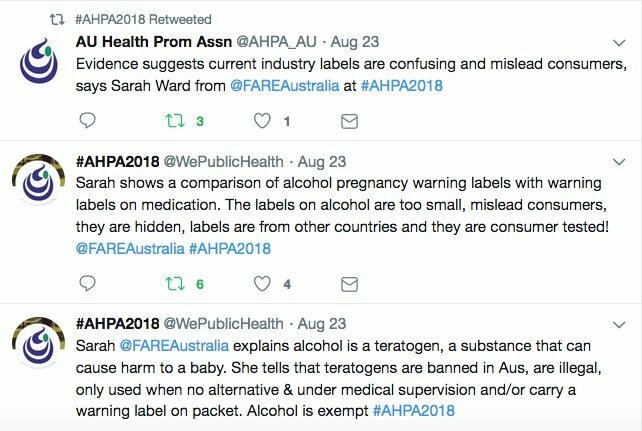 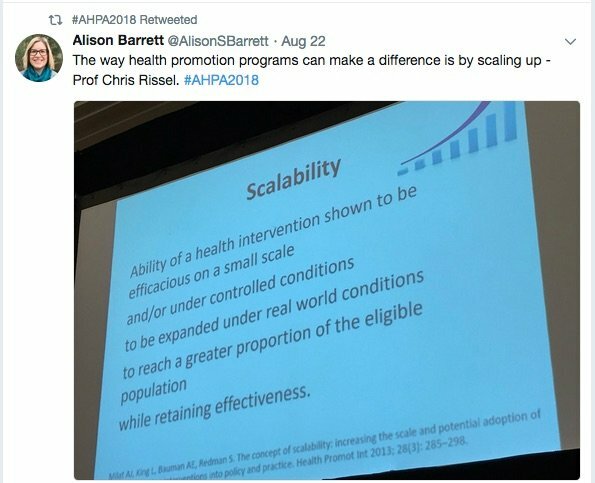 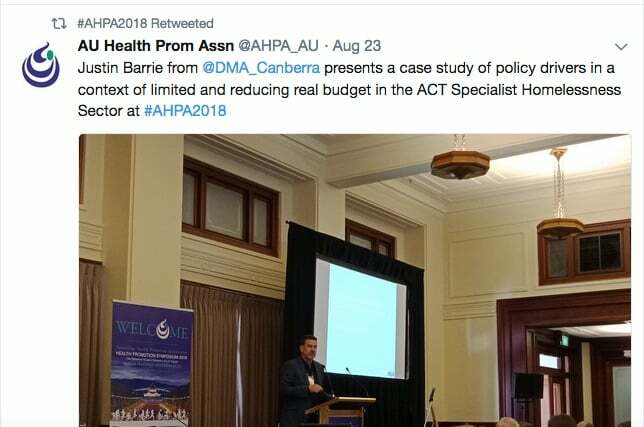 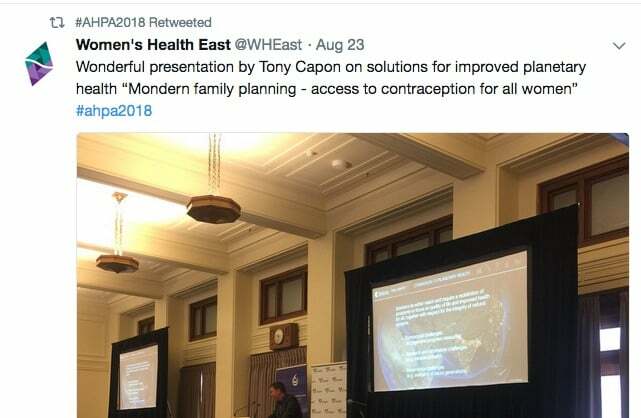 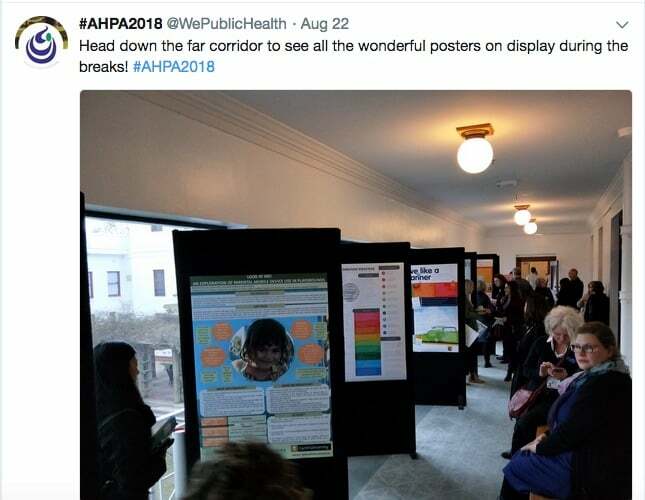 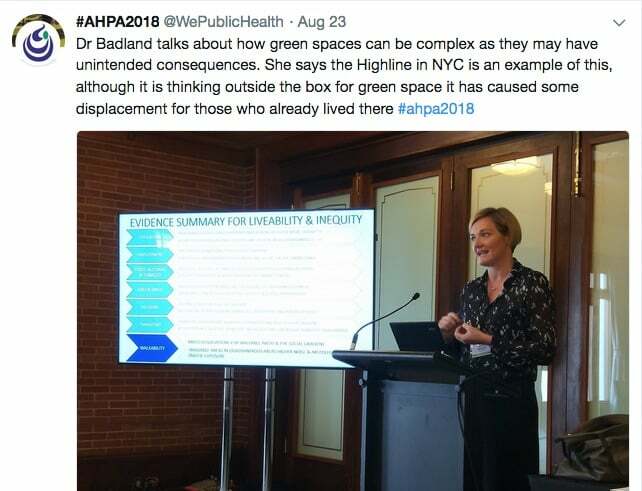 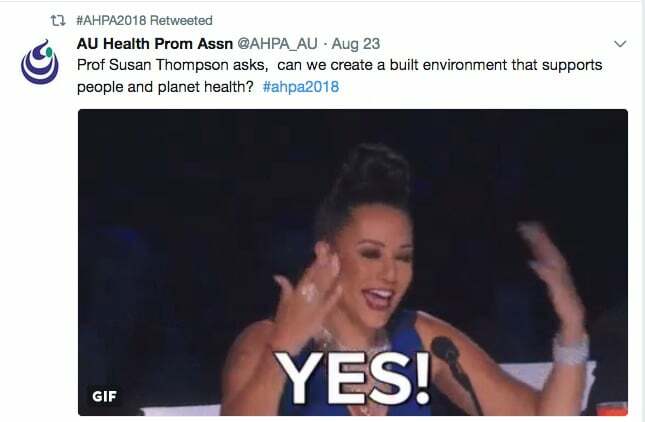 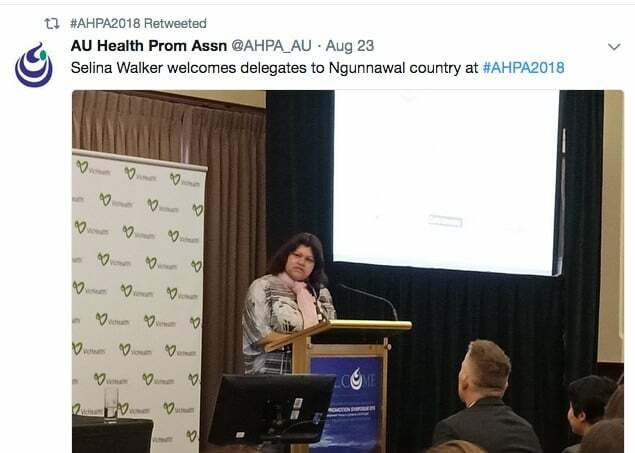 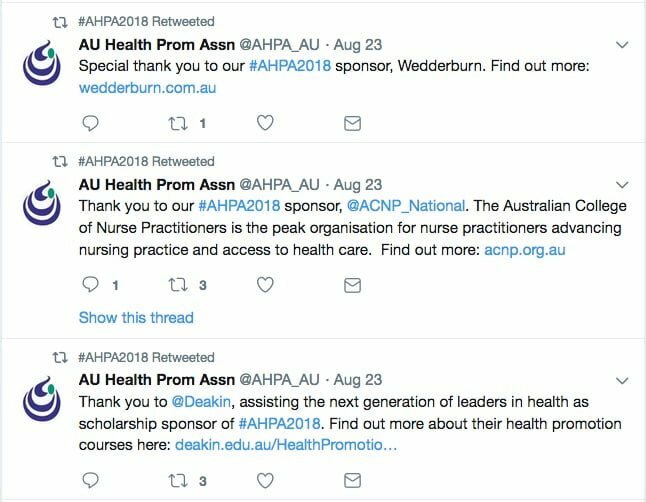 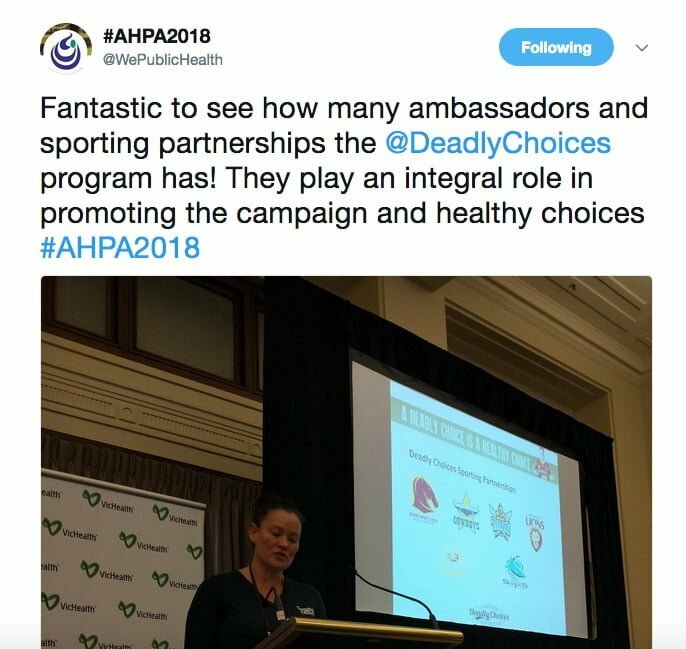 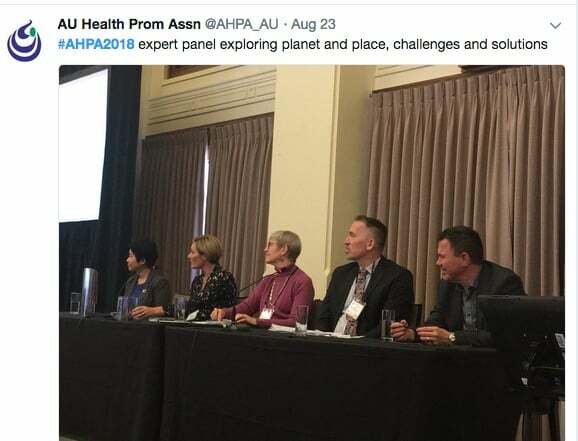 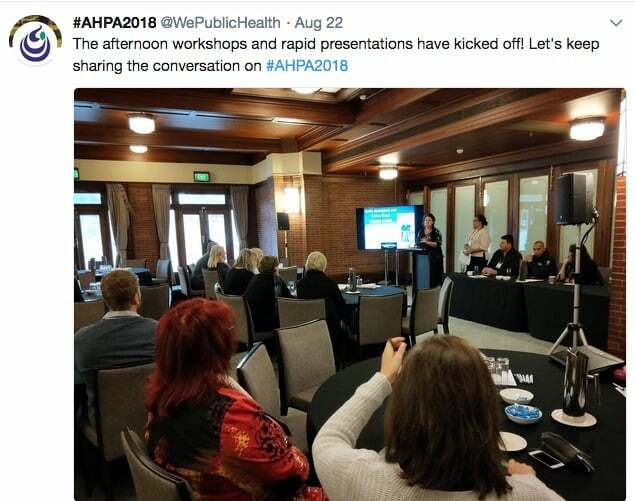 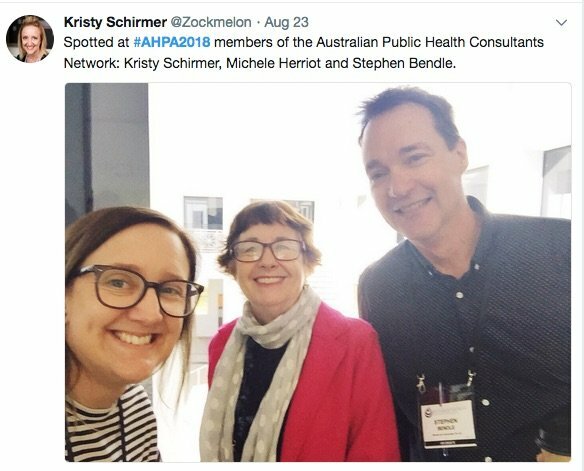 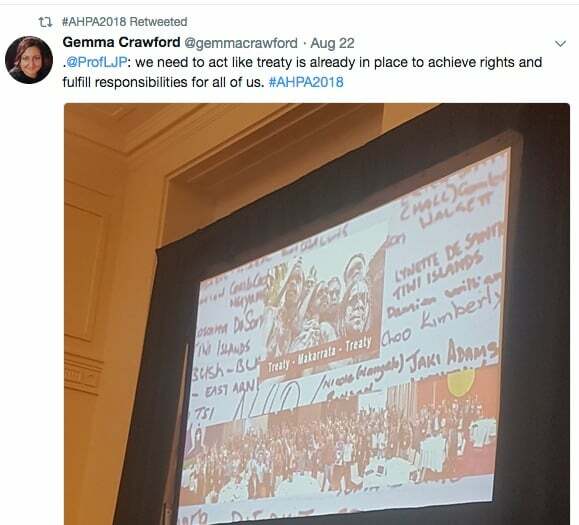 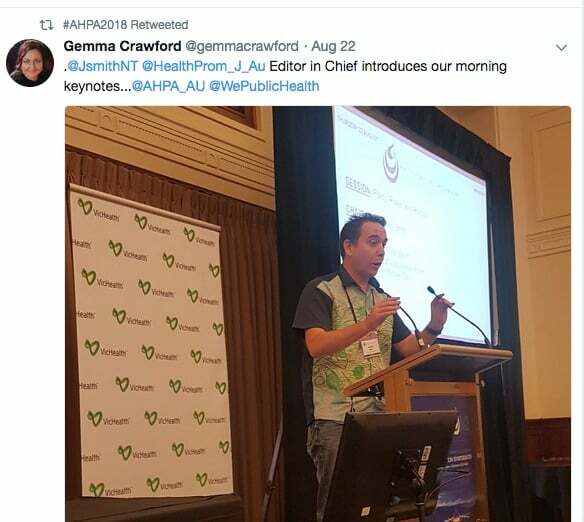 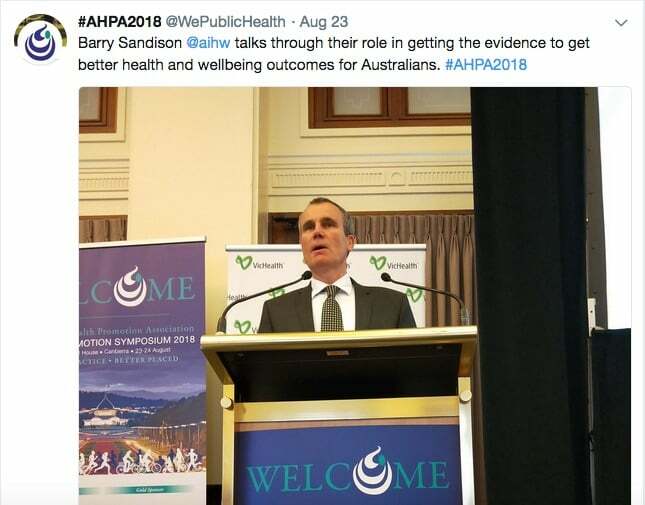 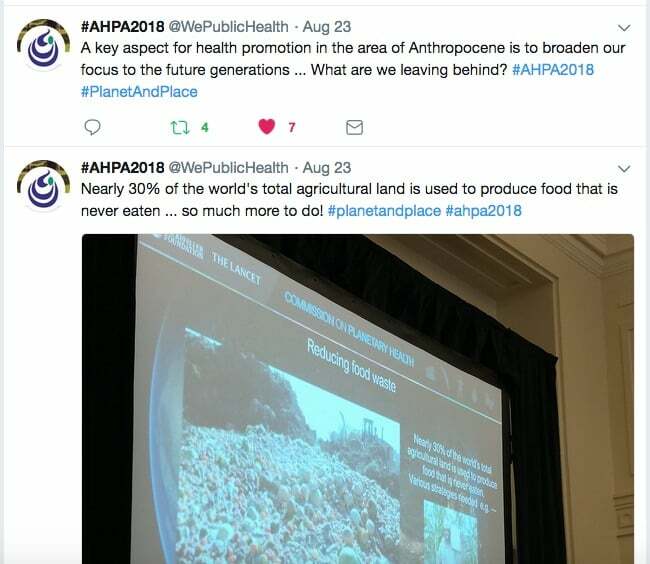 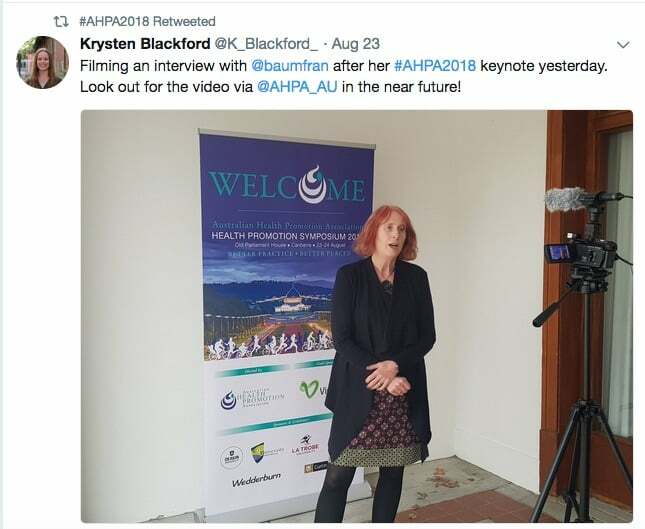 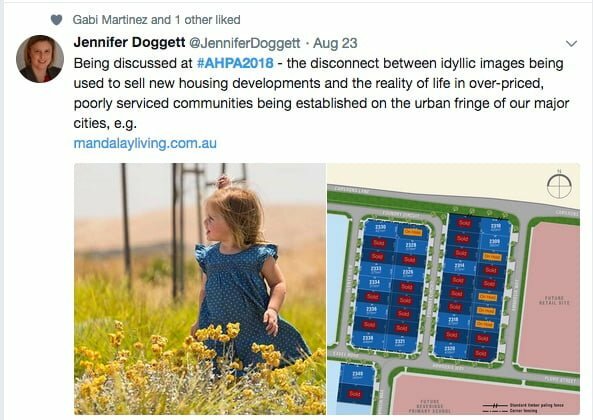 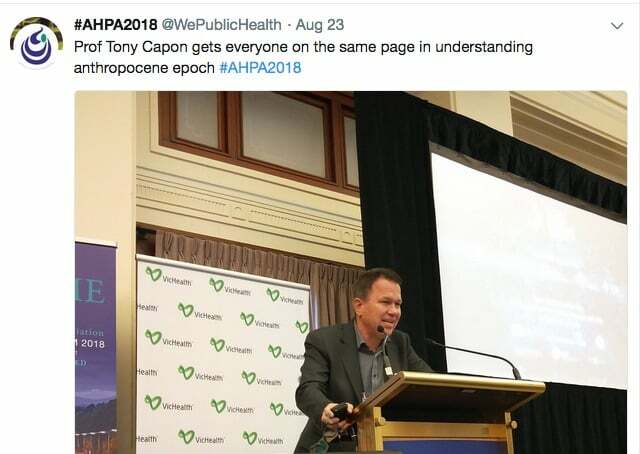 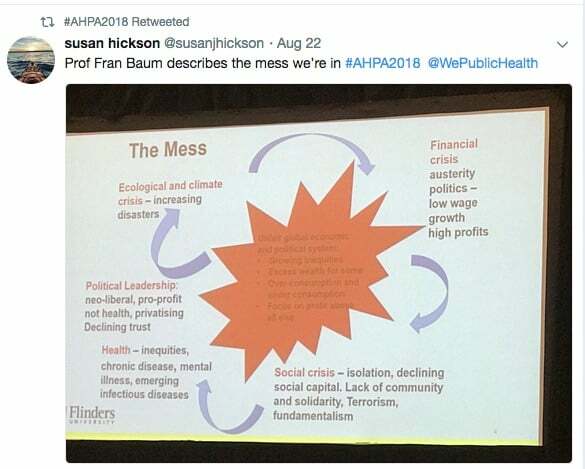 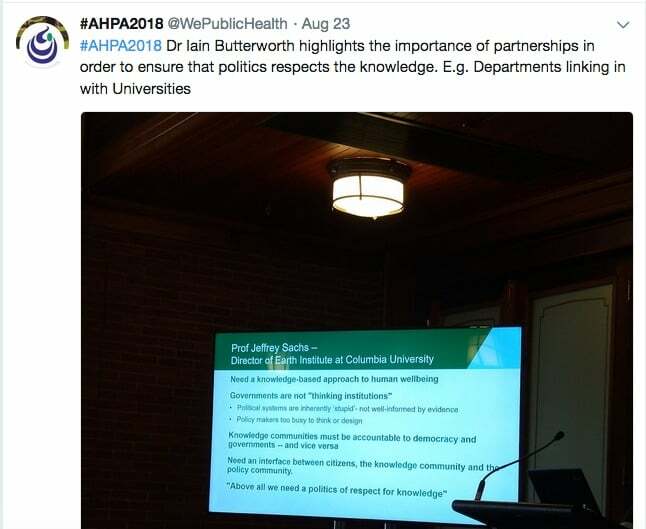 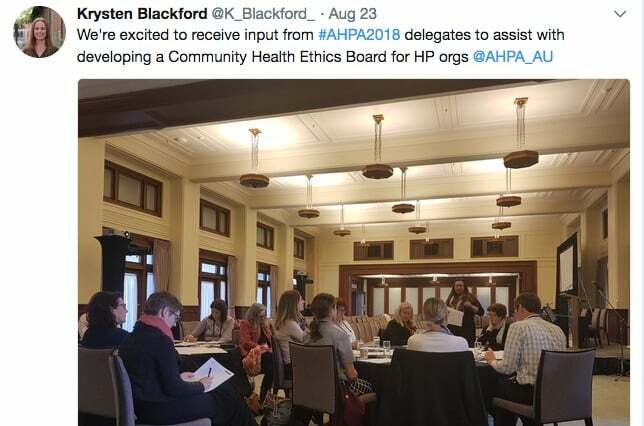 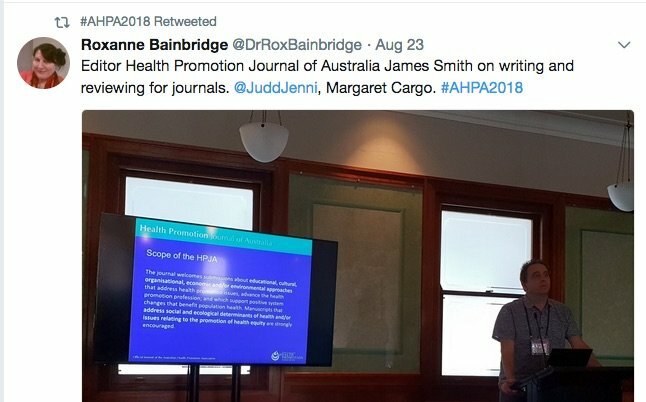 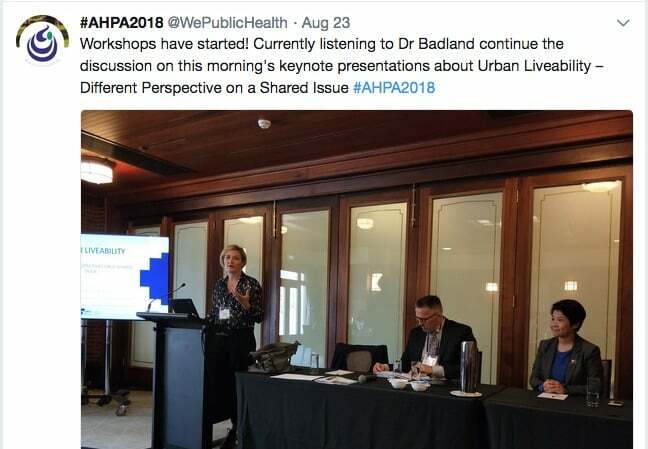 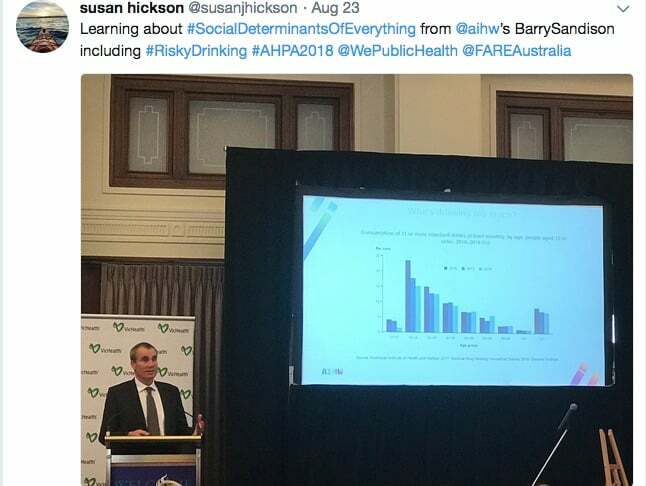 Warm thanks to all tweeps for contributing to the Twitter wrap below of the news from #AHPA2018. 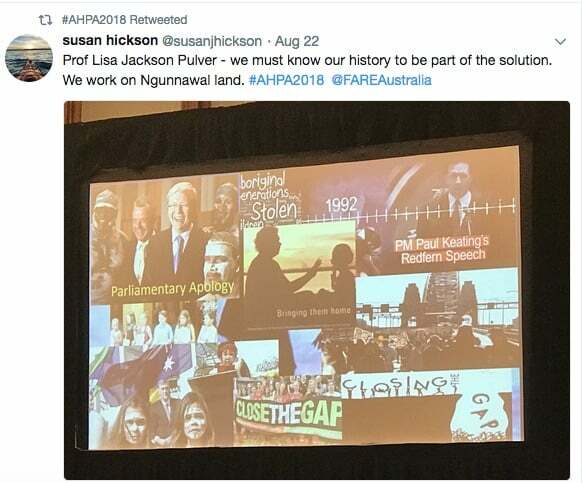 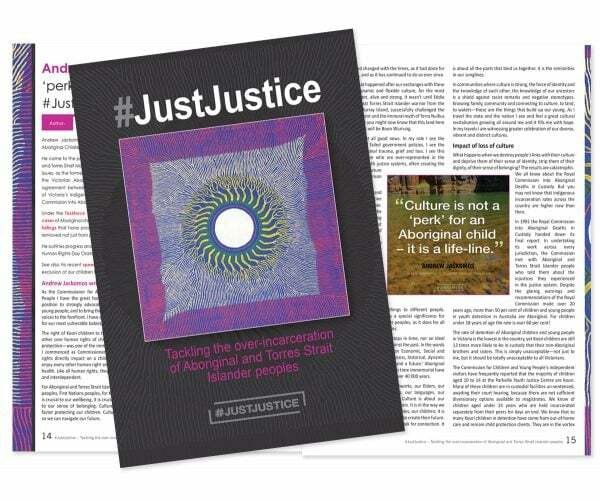 Kindness and caring in policy formulation and implementation (eg welcoming asylum seekers, not off shore detention, Uluru Statement not Northern Territory Intervention). 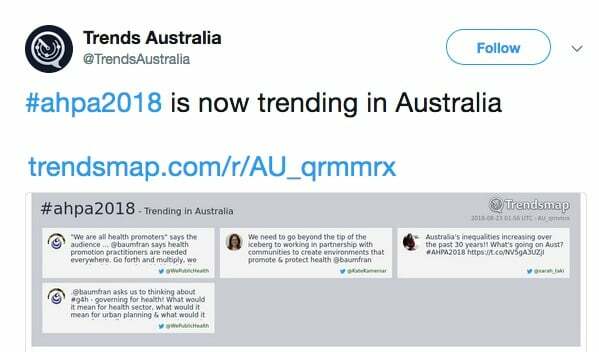 Warm thanks to all tweeps for your contributions: #AHPA2018 trended nationally. 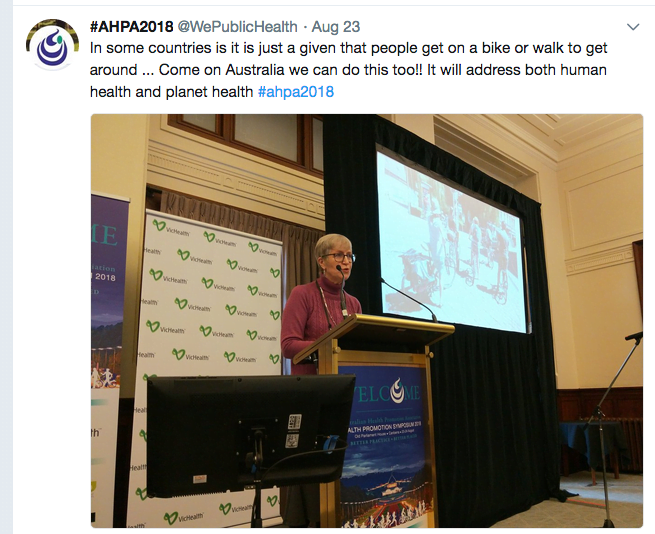 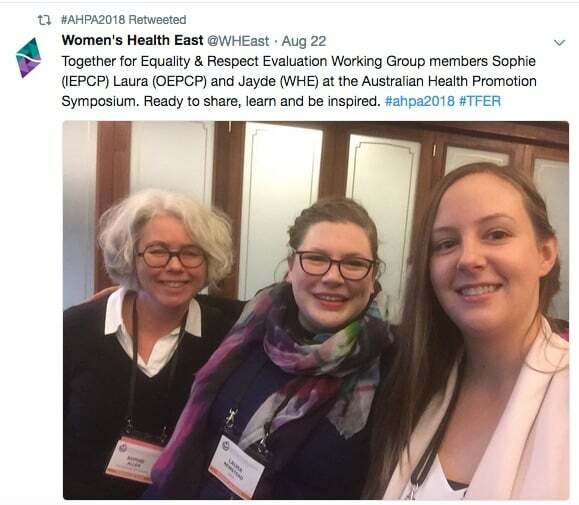 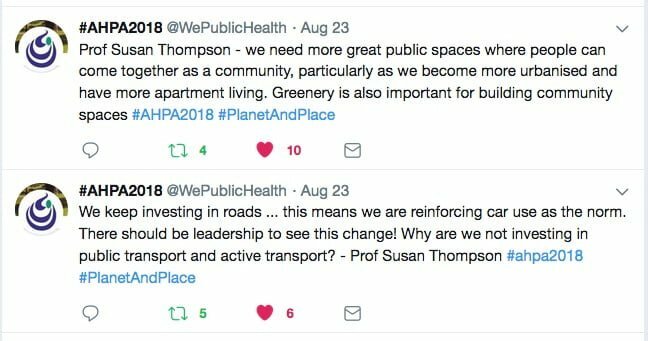 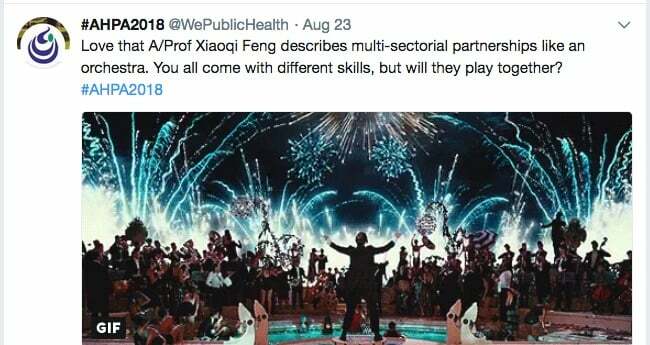 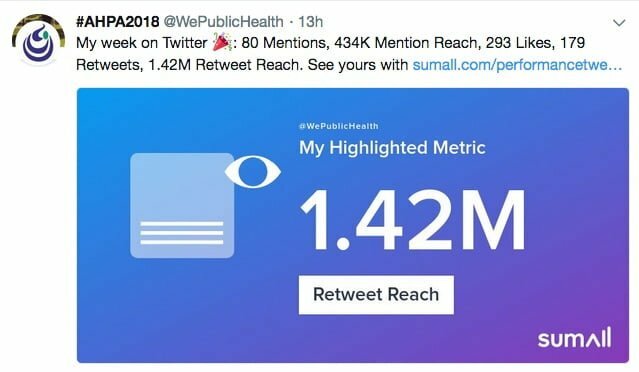 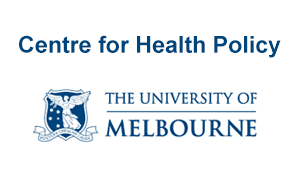 And a big shout-out to those who guest tweeted for @WePublicHealth. 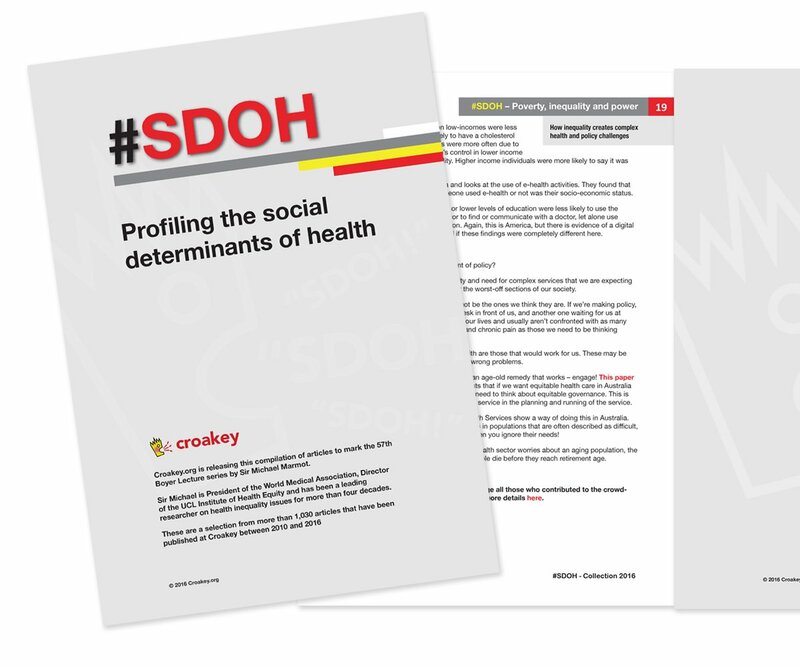 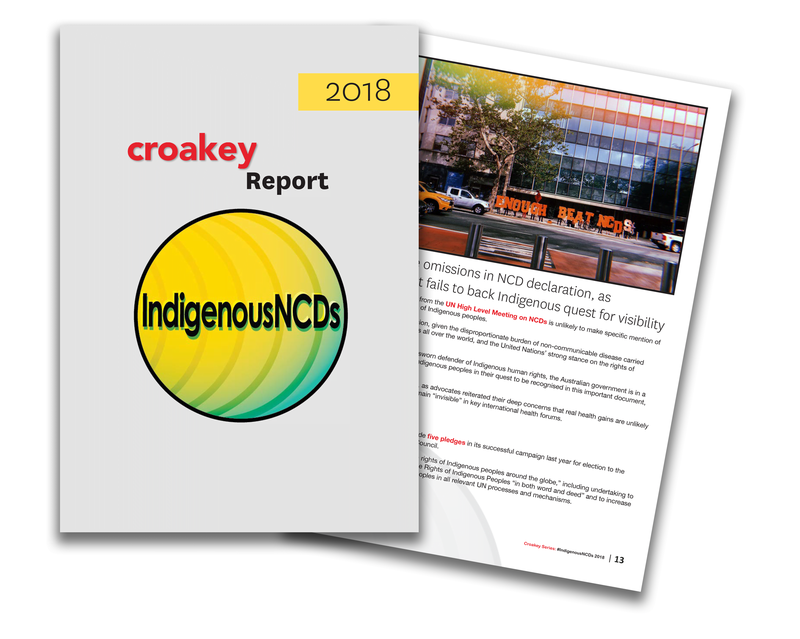 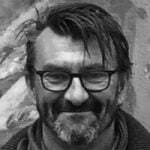 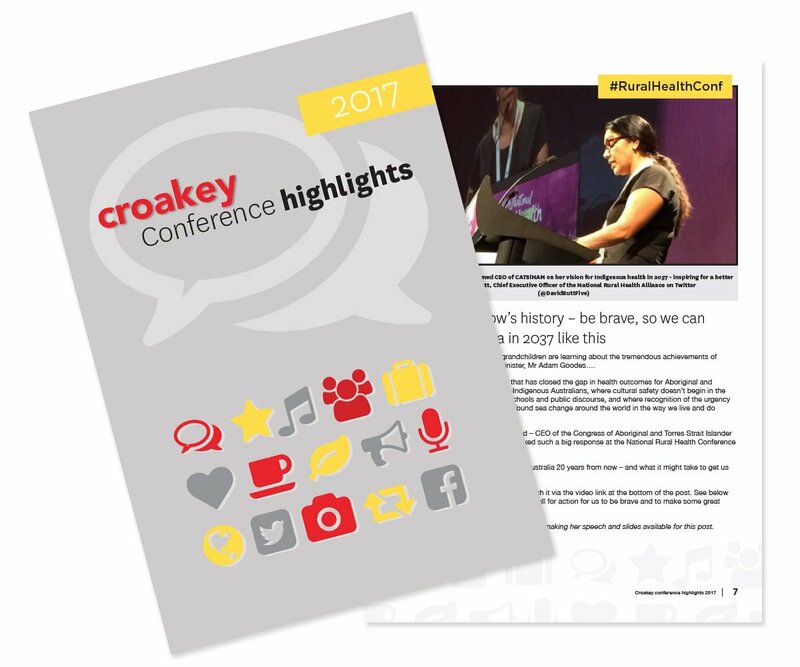 • Jennifer Doggett attended the conference on Friday 24 August to report for the Croakey Conference News Service. 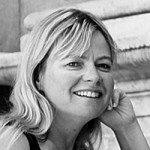 Her stories can be seen here, and the program can be seen here.